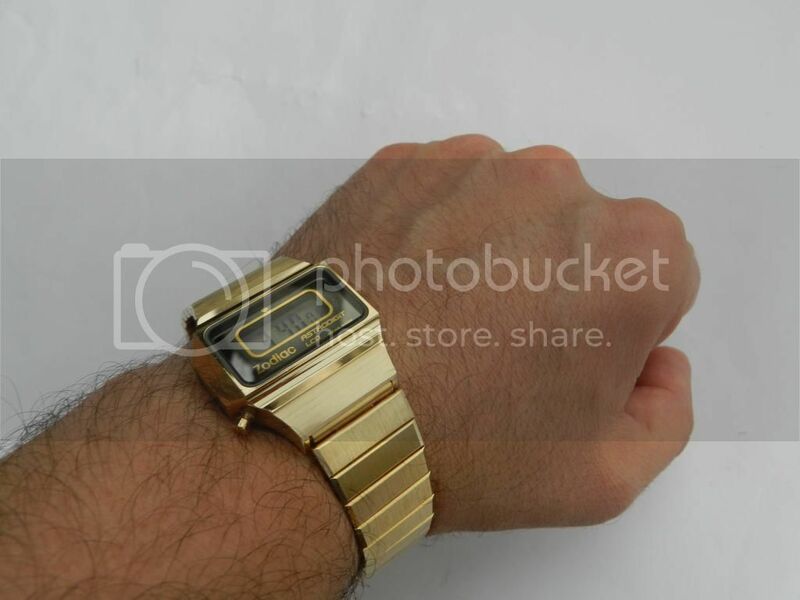 Glad you found a reasonably priced one. for control using absolutely precise radiocontroled watch Junghans Mega1. 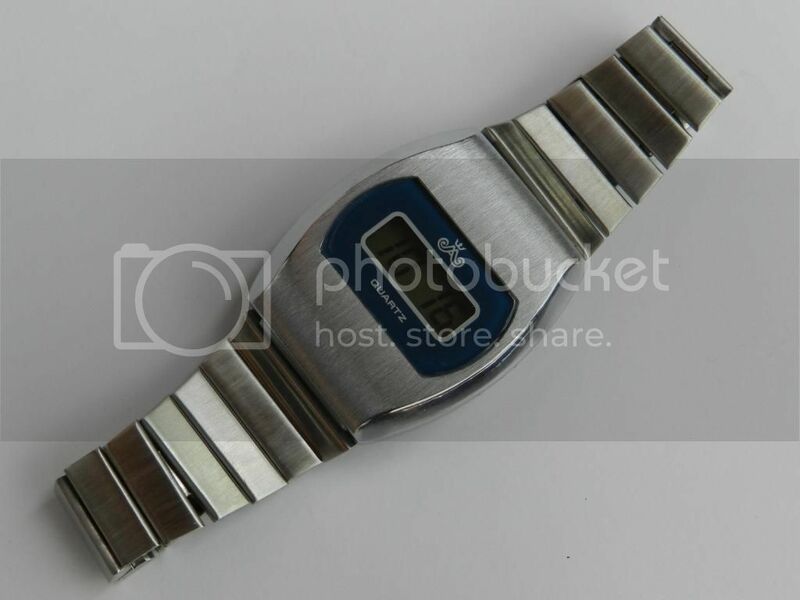 absolutely precise in a second work this beautiful Seiko I love it. 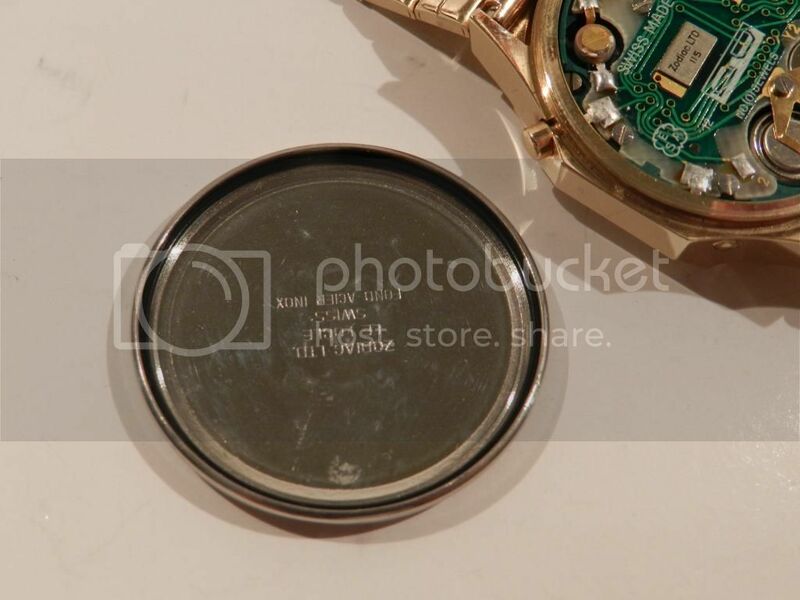 That was my auction Sorry Mick! 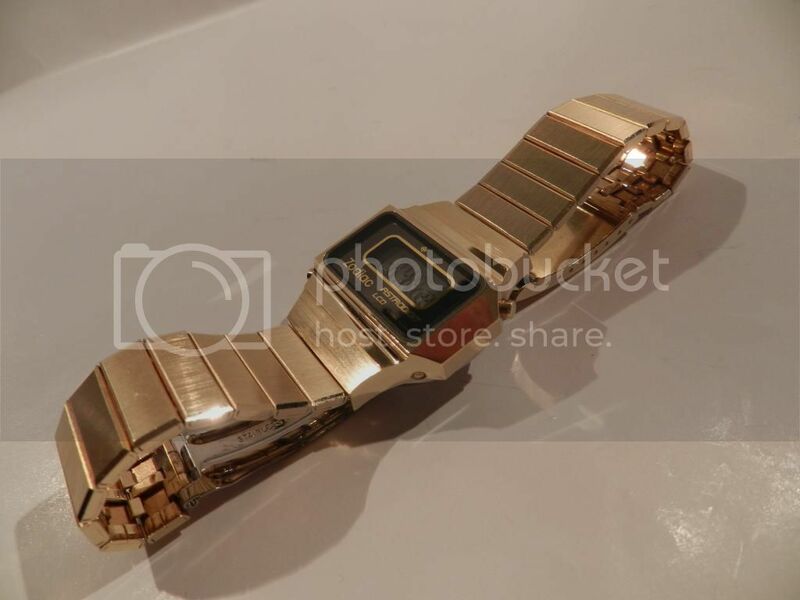 I would have figured out a way to help a member out! 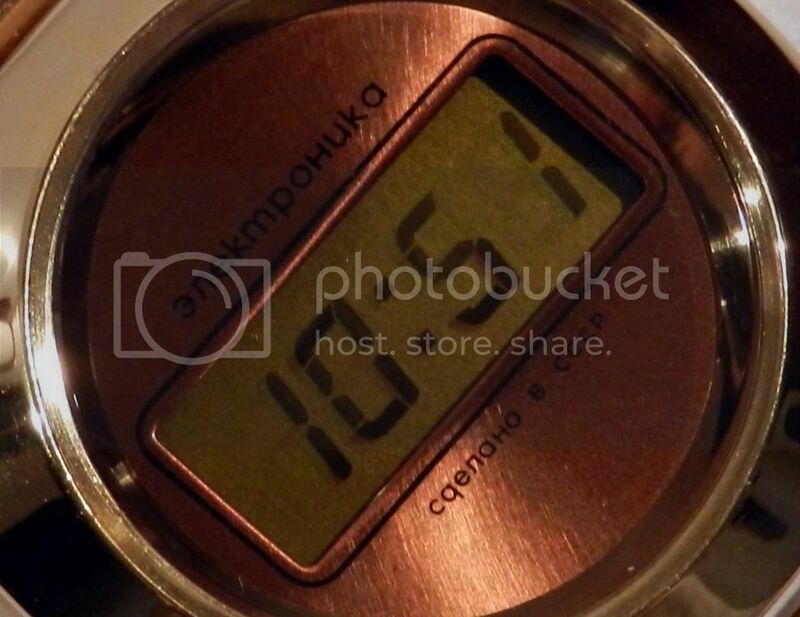 My wife just told me you were the winner charger105! 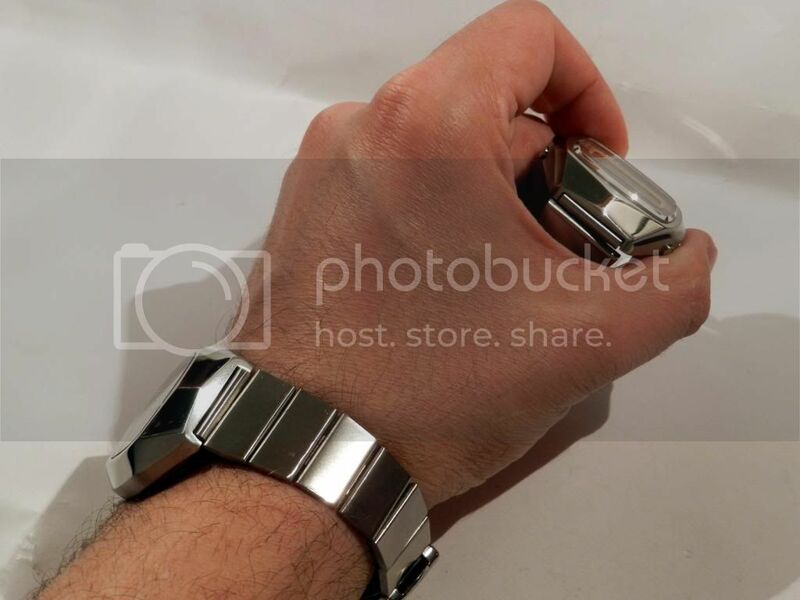 I will load your package up with lots of extras! 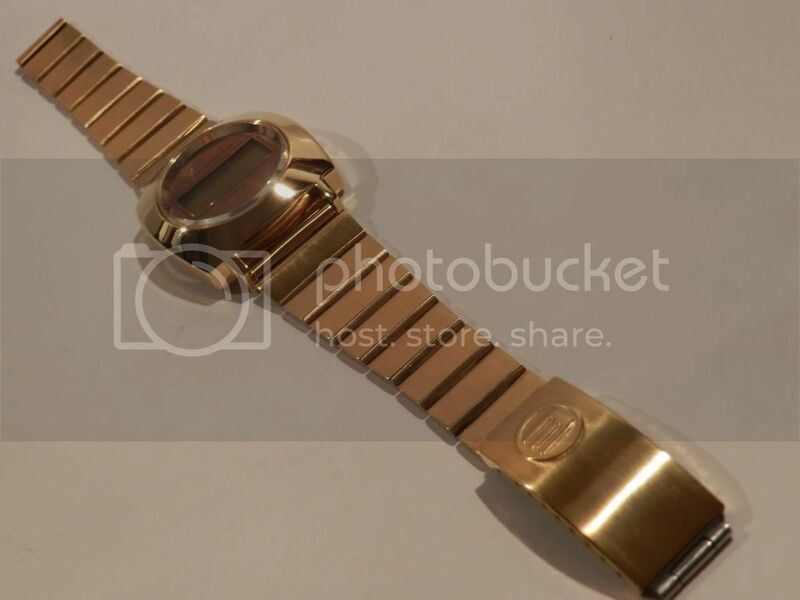 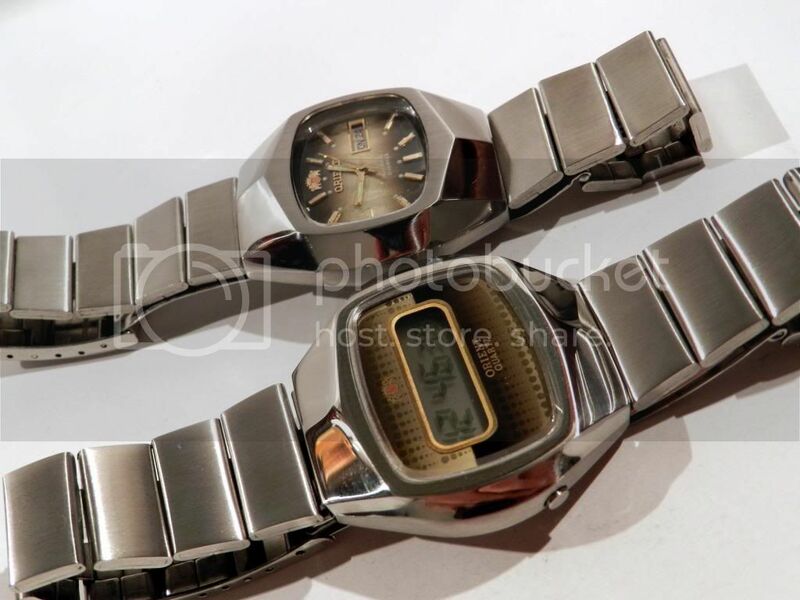 I didn't know it was your auction Benrus, I just spotted the watch and remembered the post, sounds like it has all worked out well in the end anyhow. 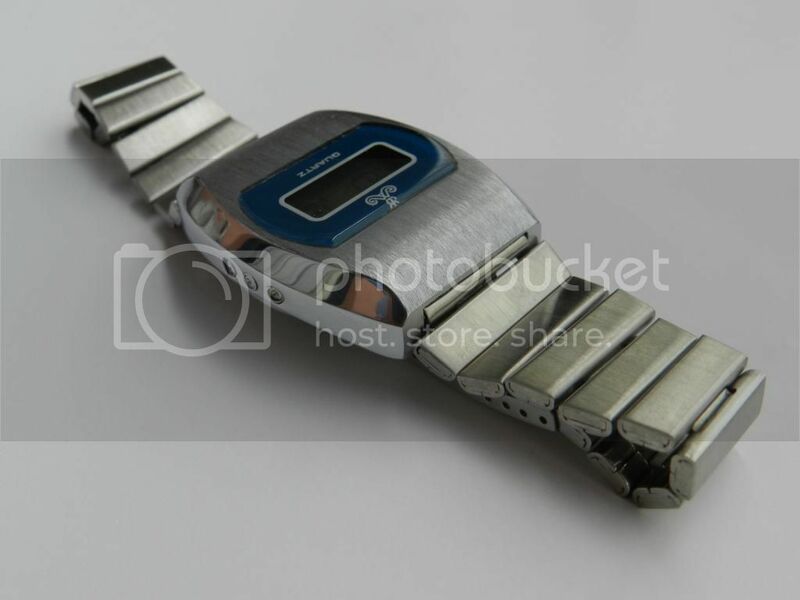 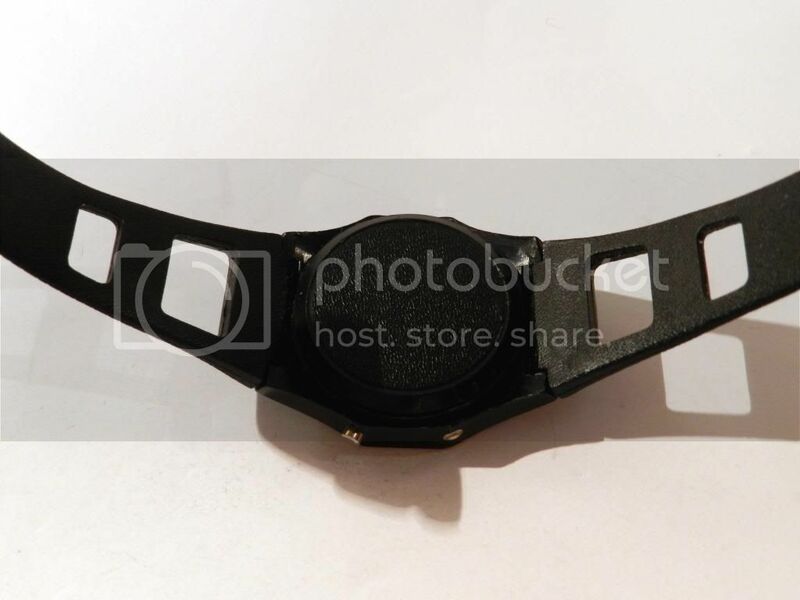 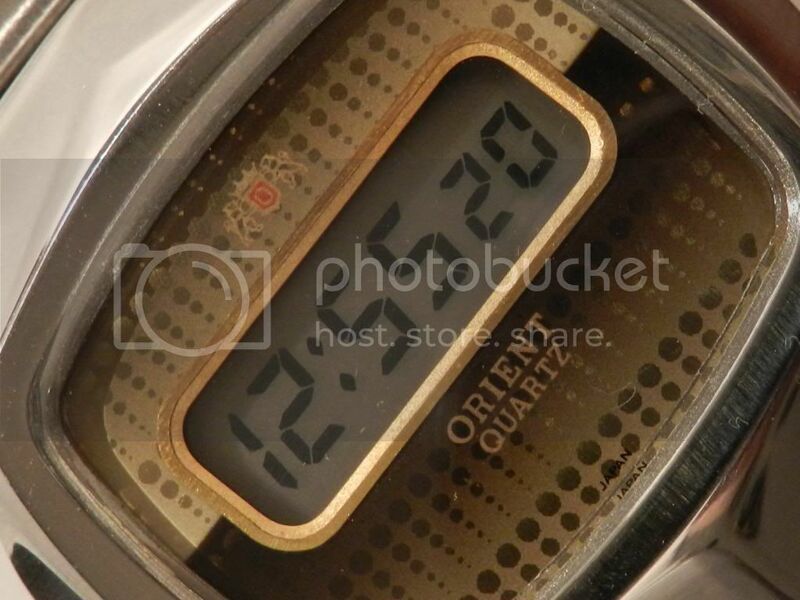 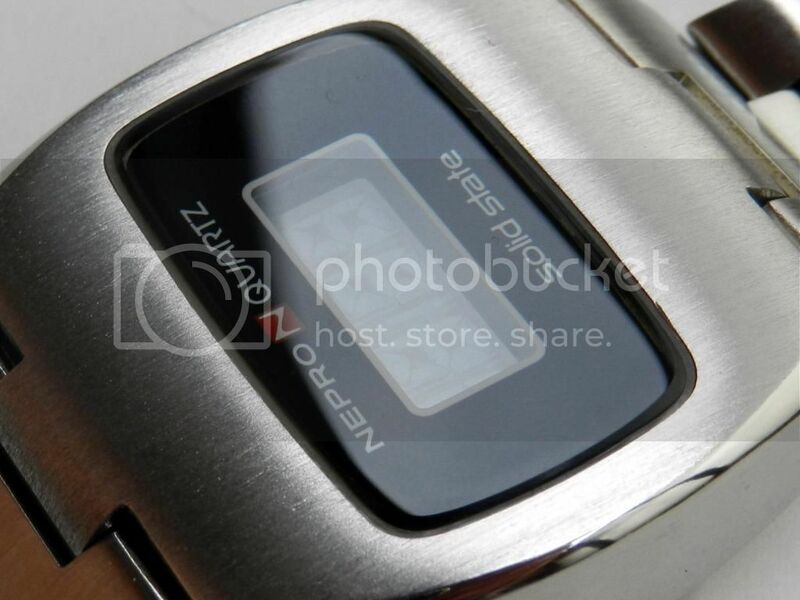 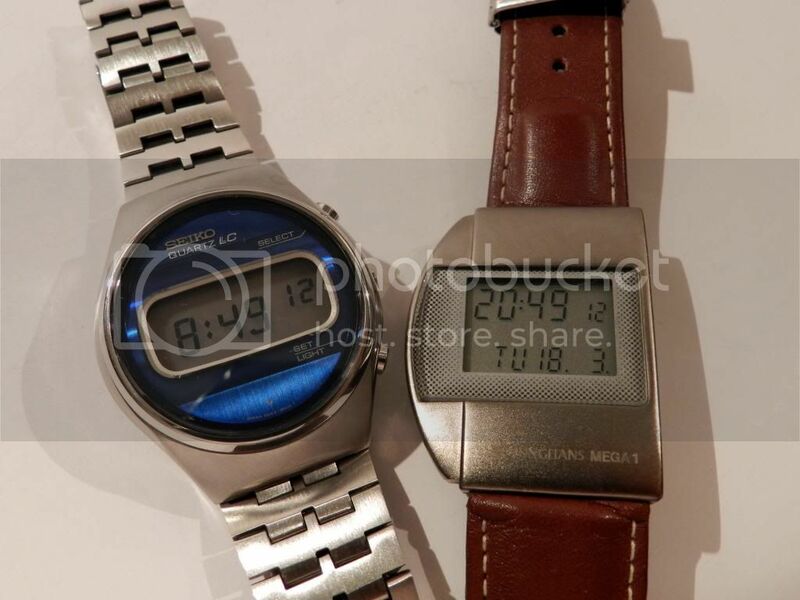 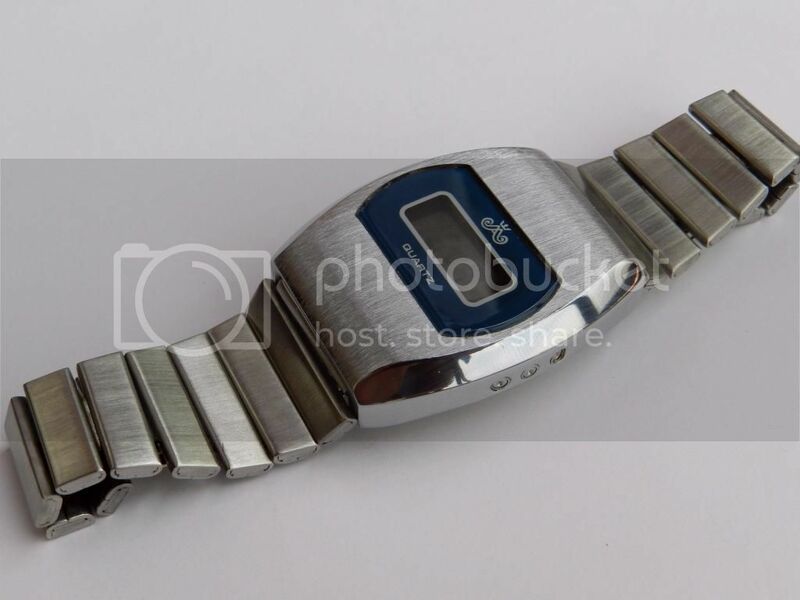 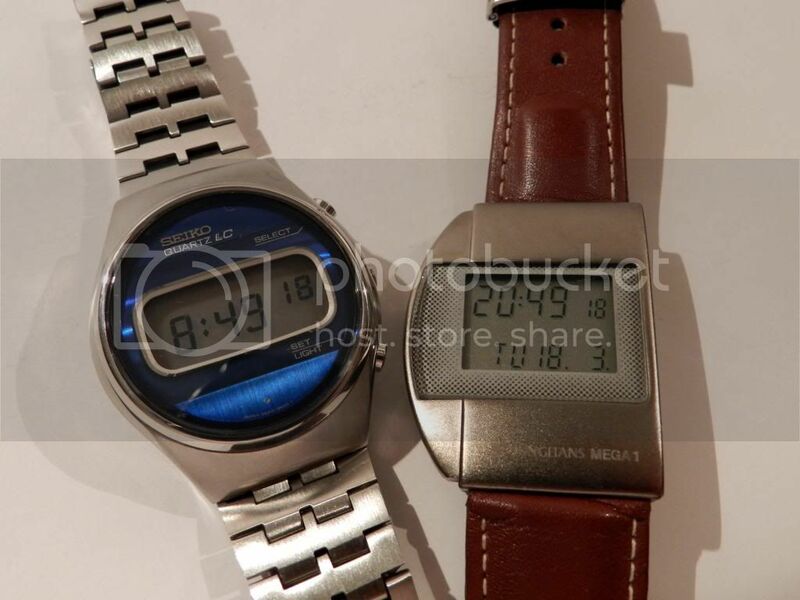 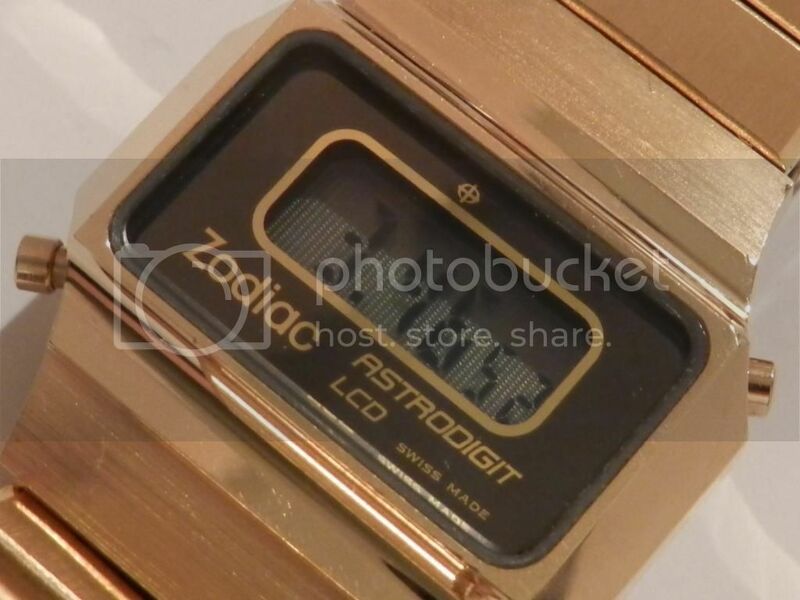 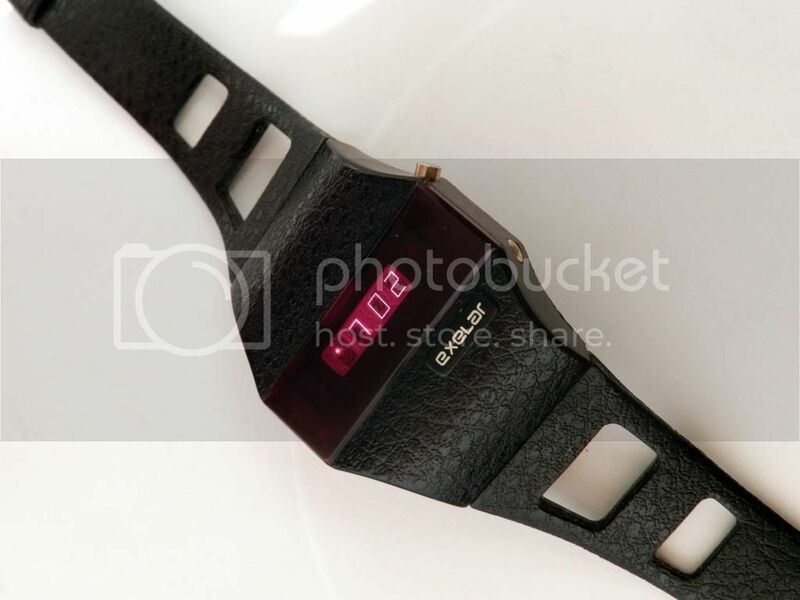 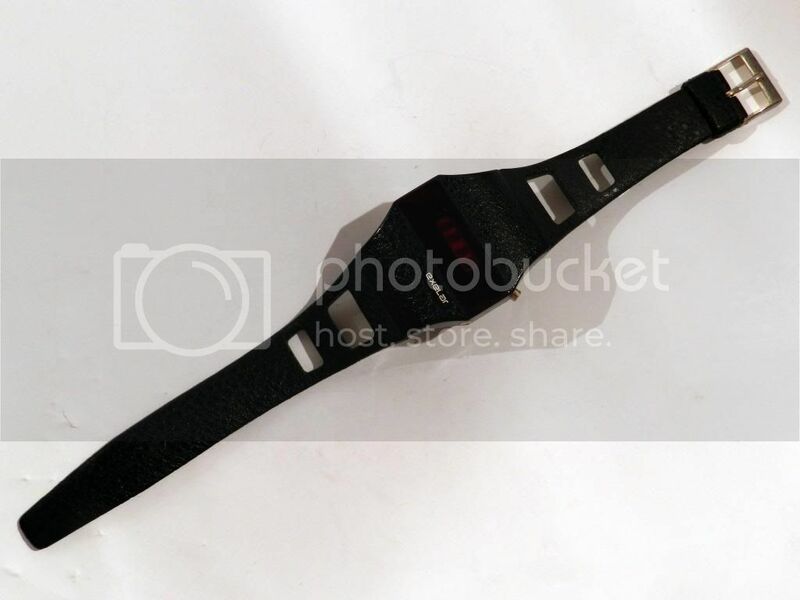 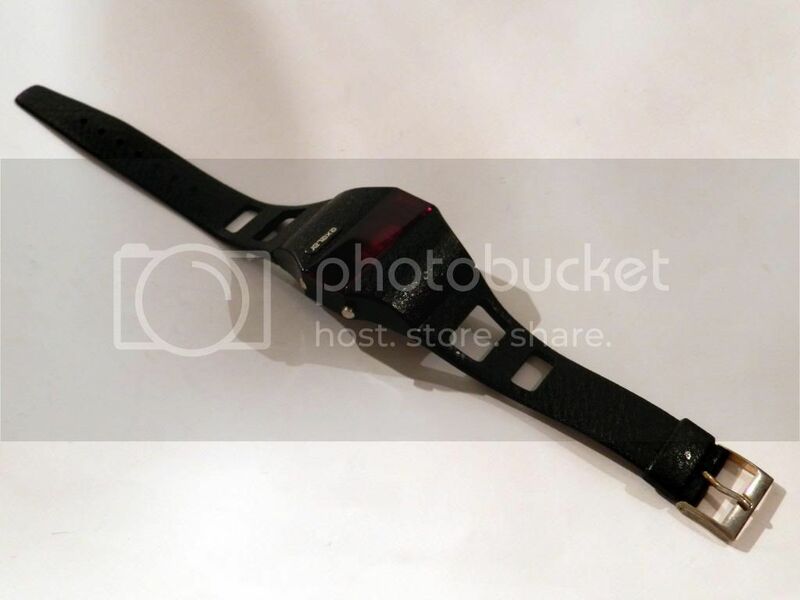 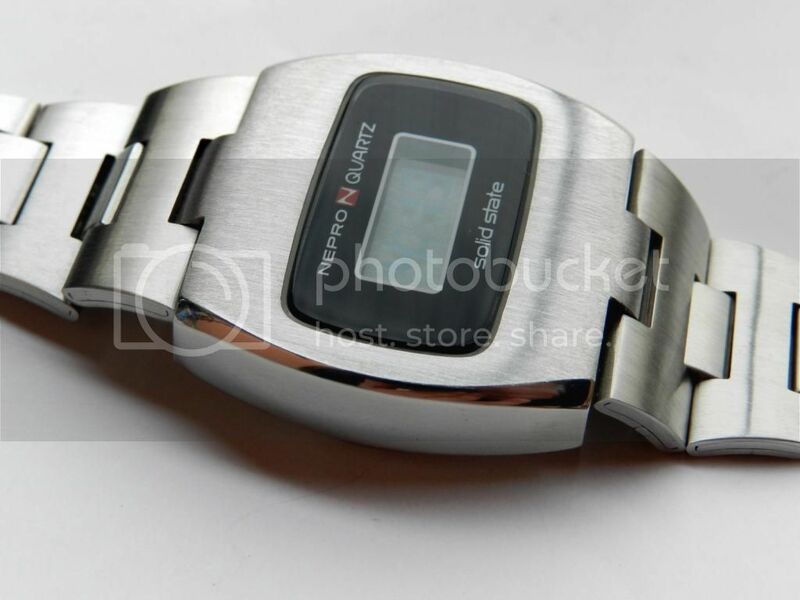 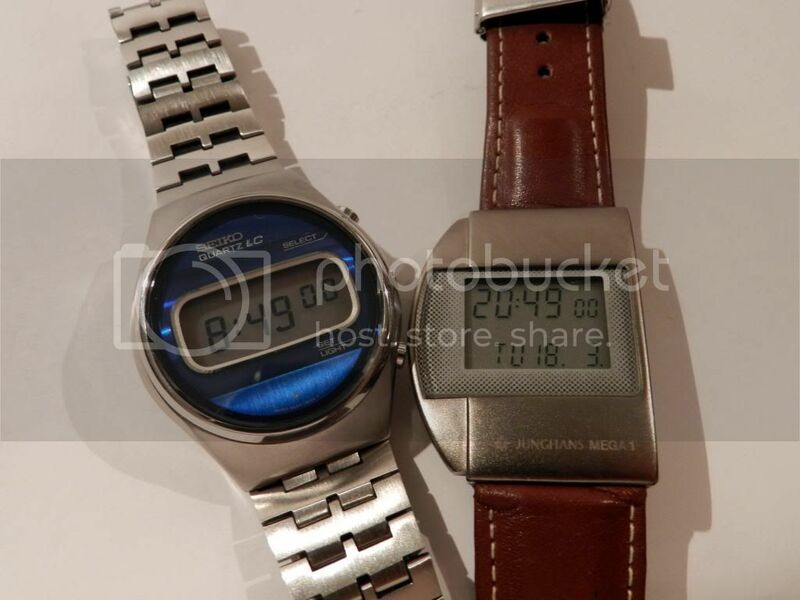 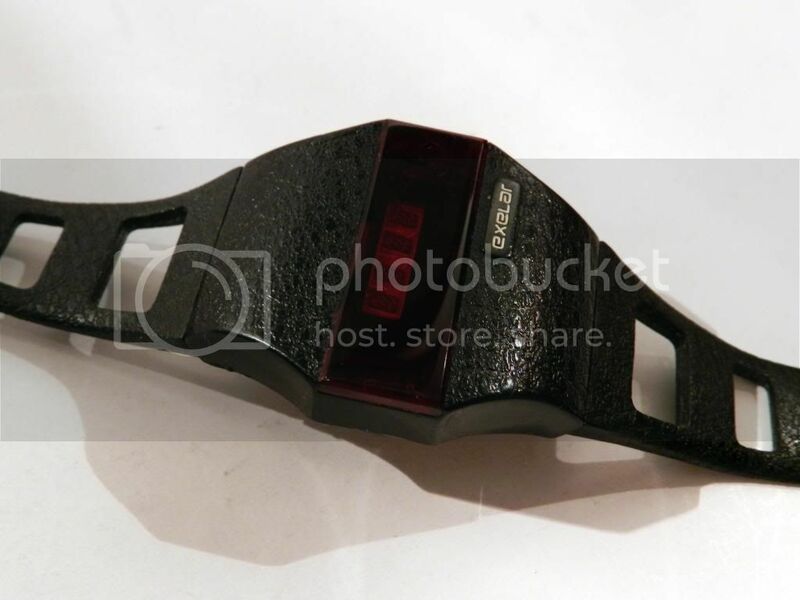 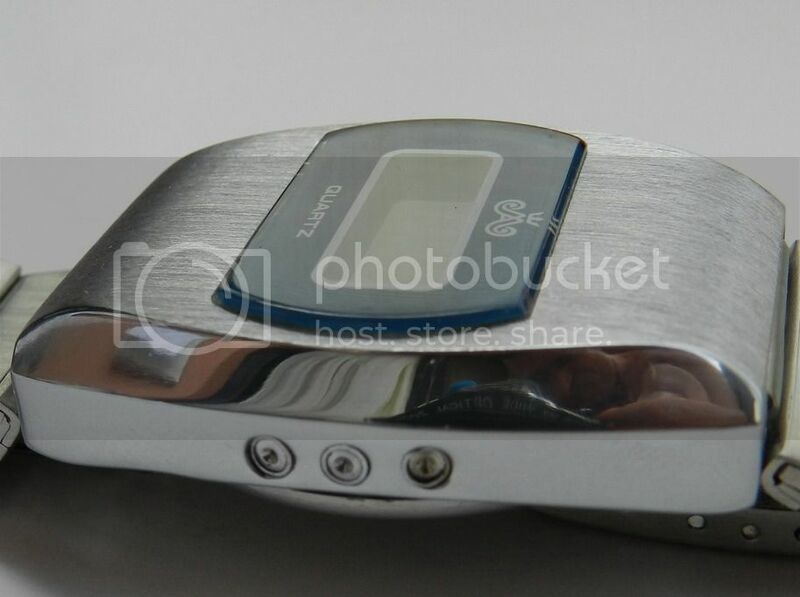 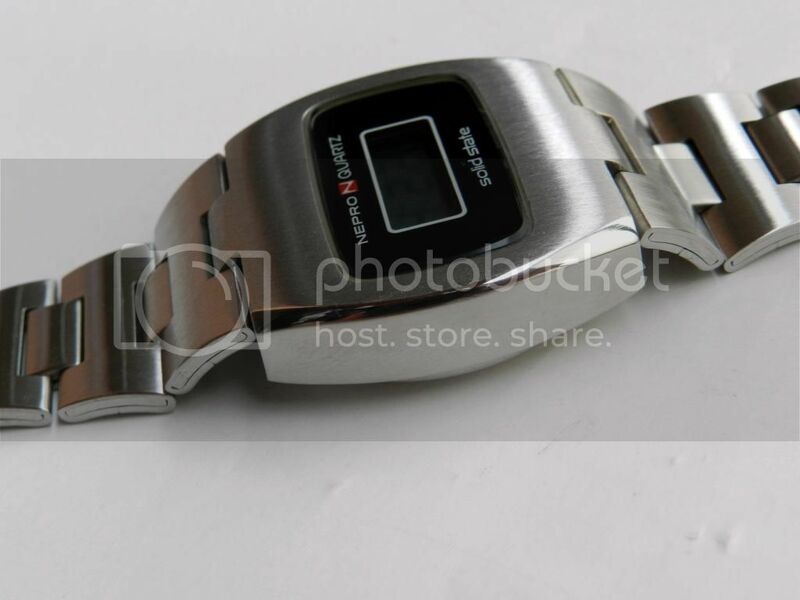 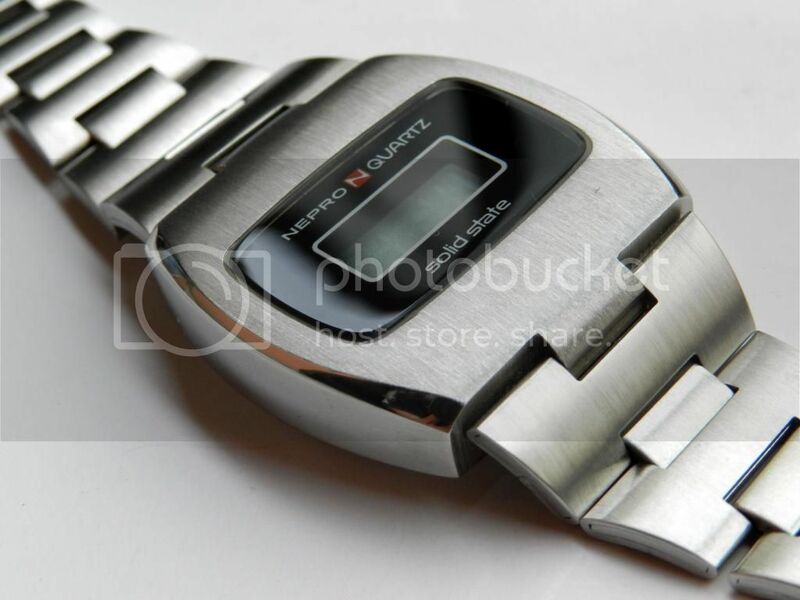 This LCD Orient have the possibility to turn off display for saving battery,option that is rarely on the LCD watches, more precisely, I think the only orient had such a possibility in its first LCD models. 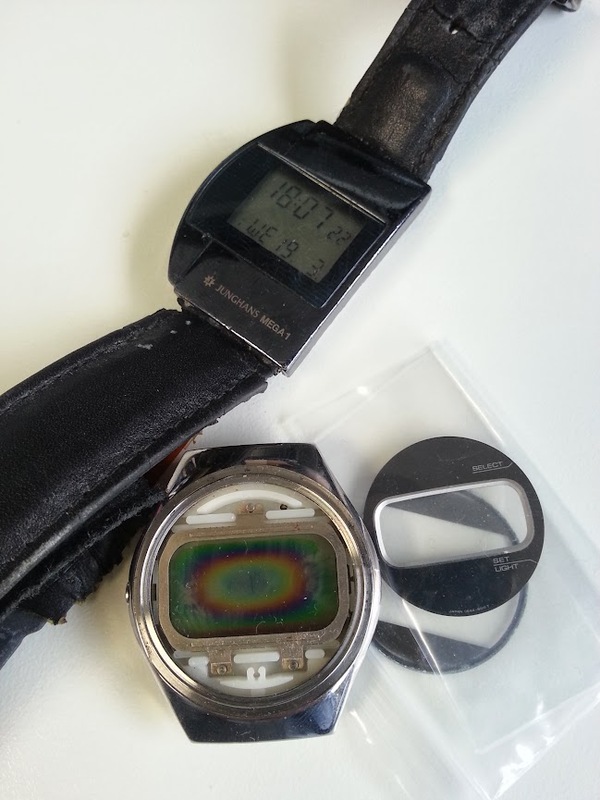 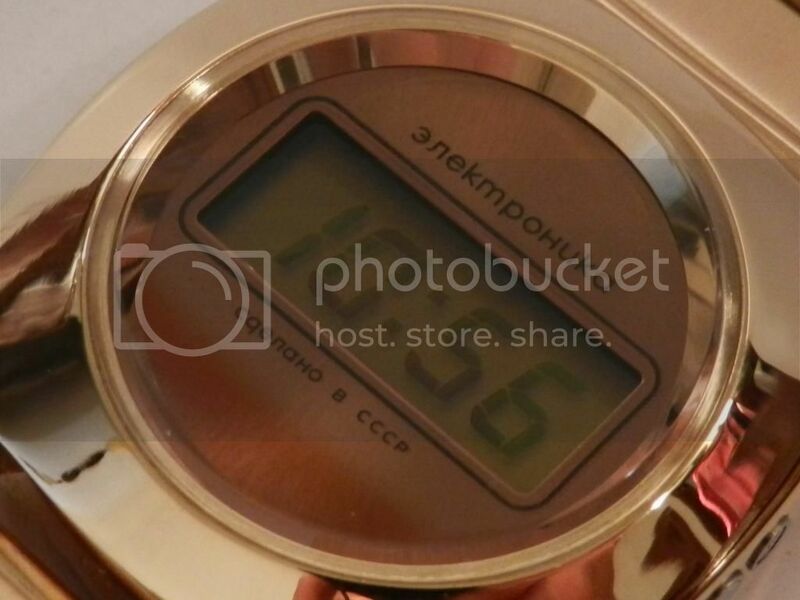 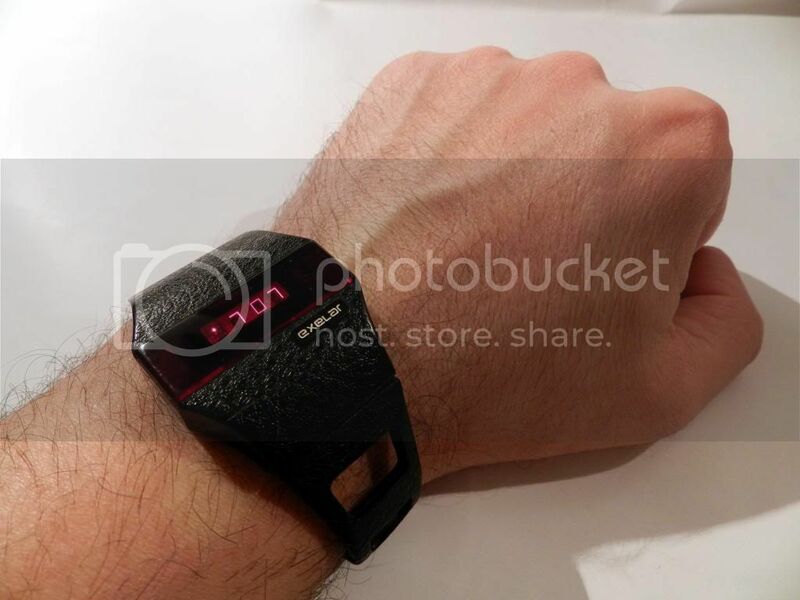 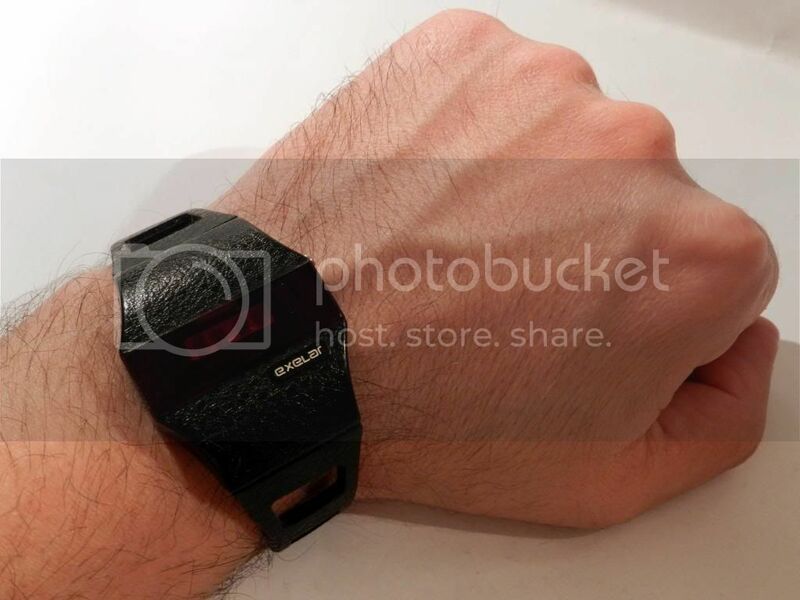 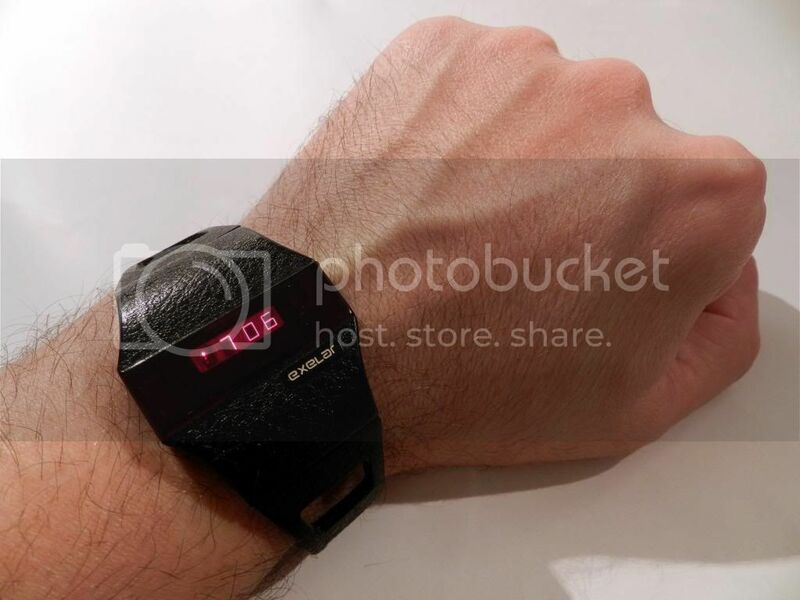 The watch uses two batteries,of which one is only for the display light. 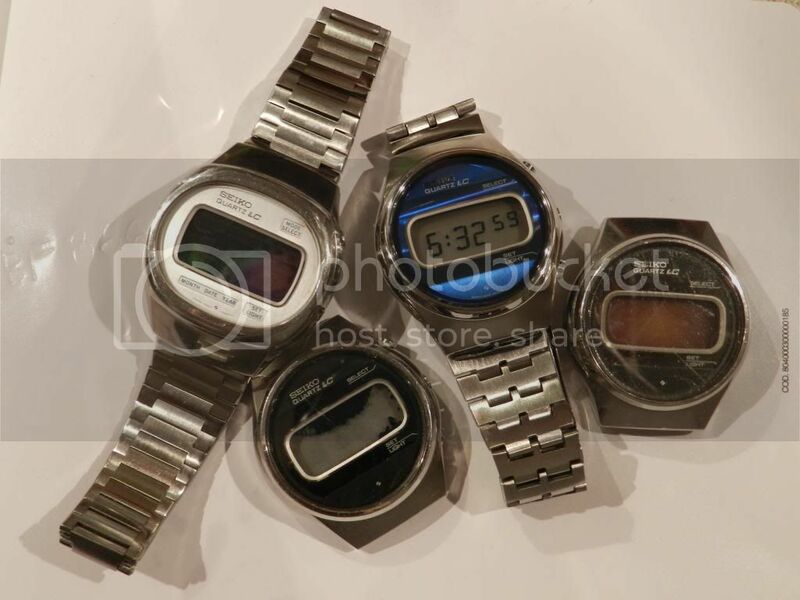 Very nice and clean ones, Iggy...didn't know there were so many variations. 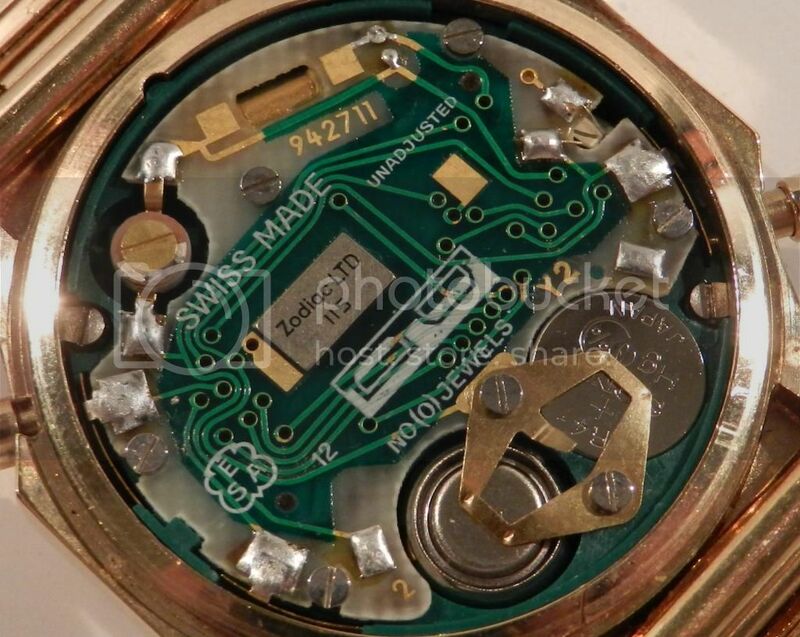 Have they also been electroplated? 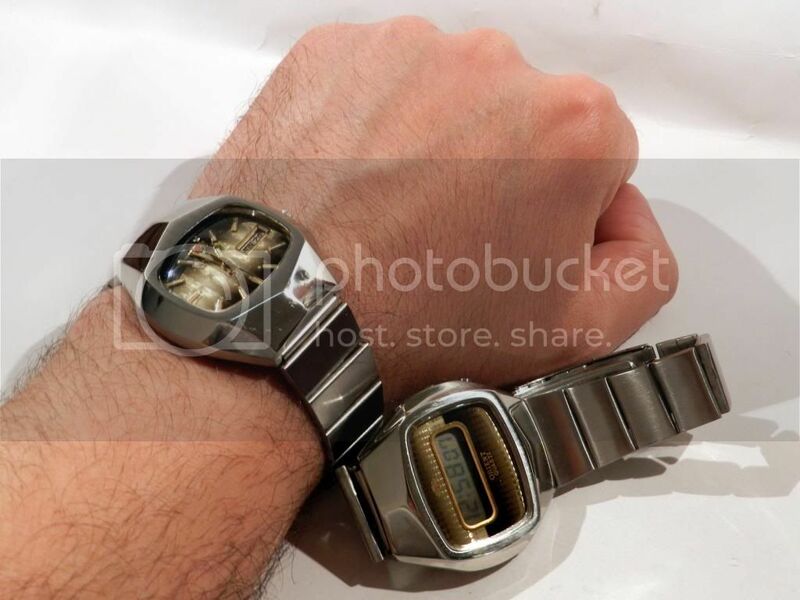 These look like new? 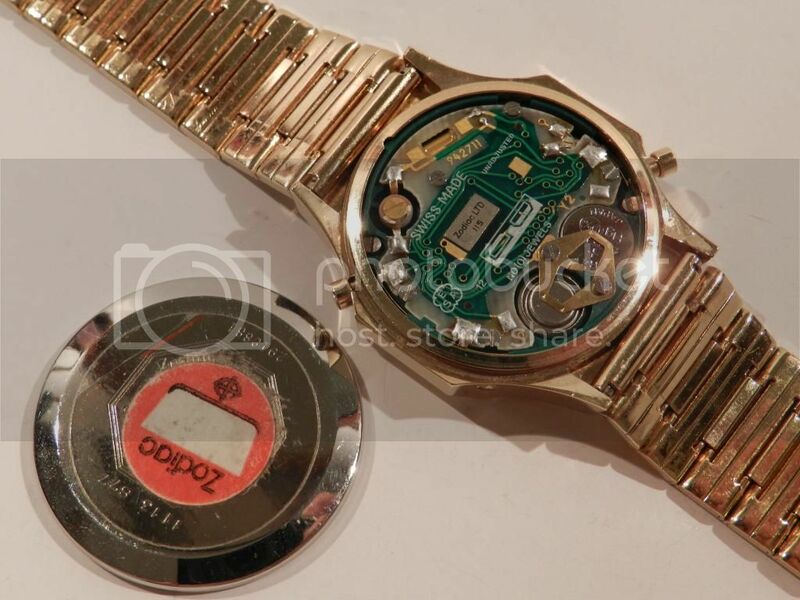 Have they also been electroplated? 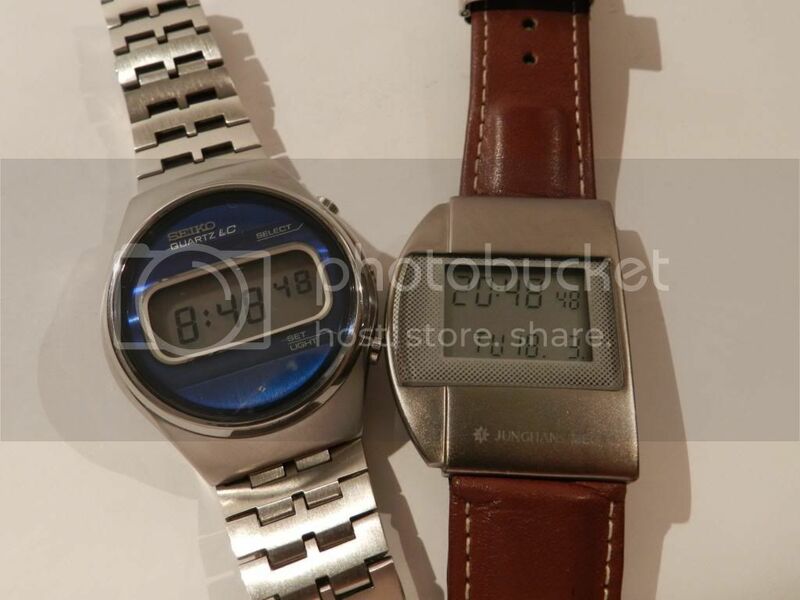 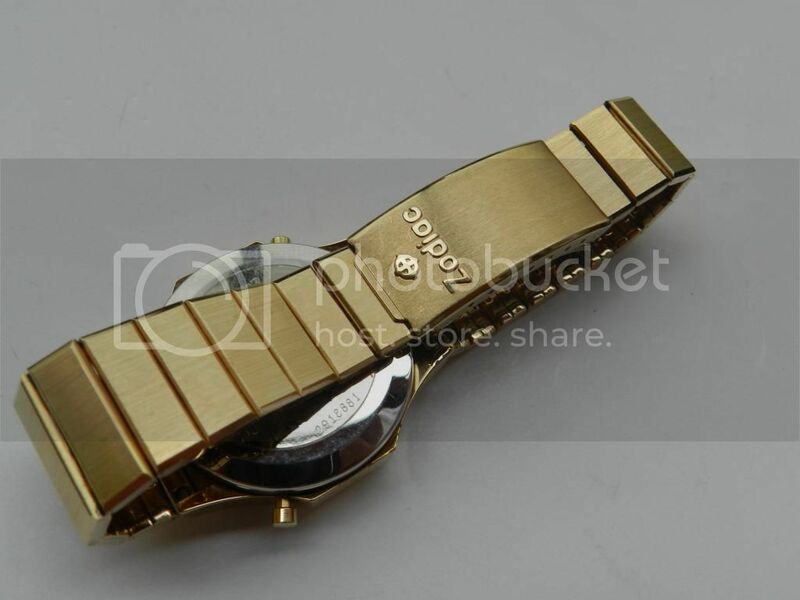 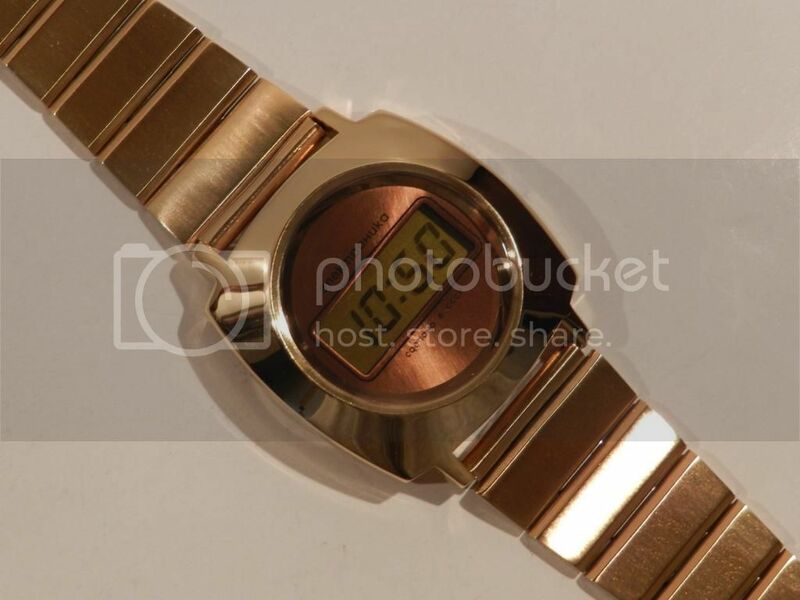 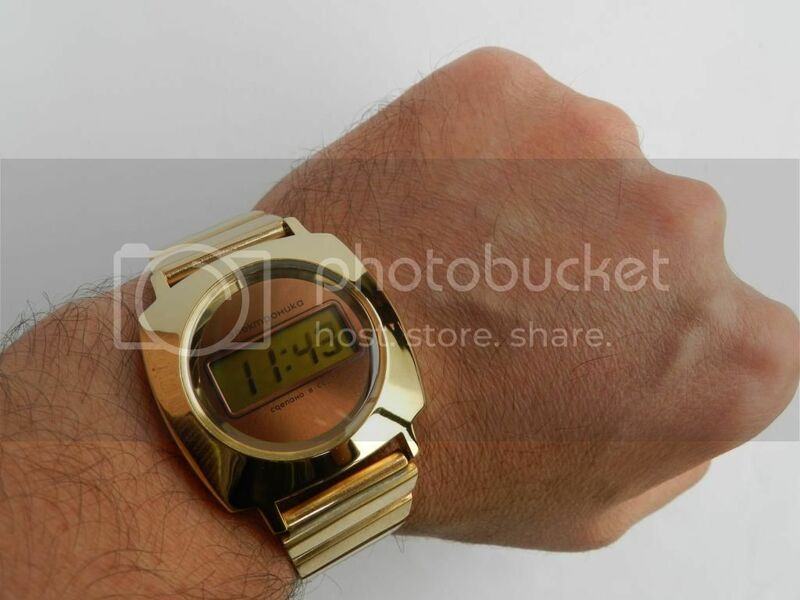 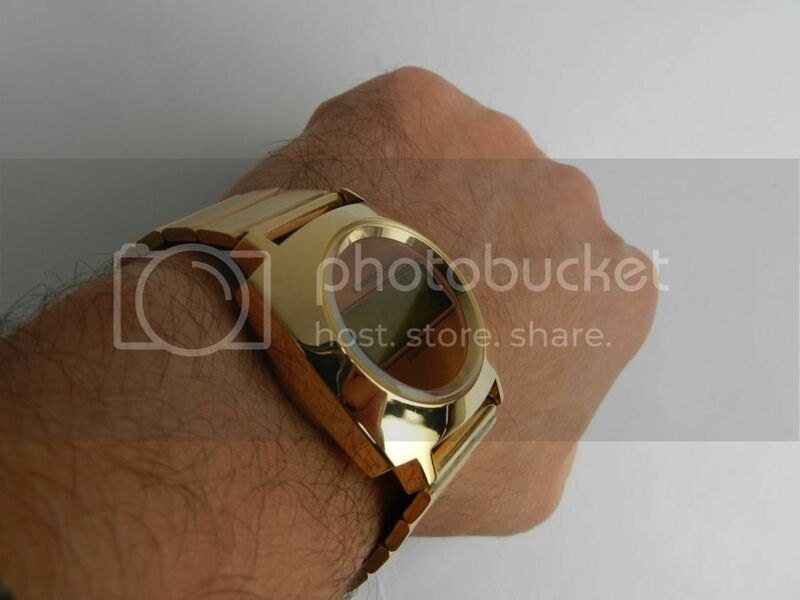 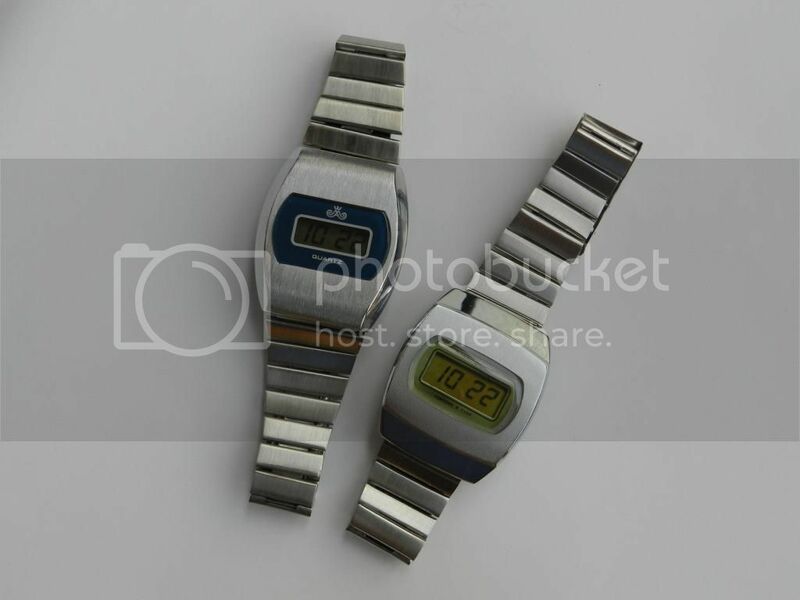 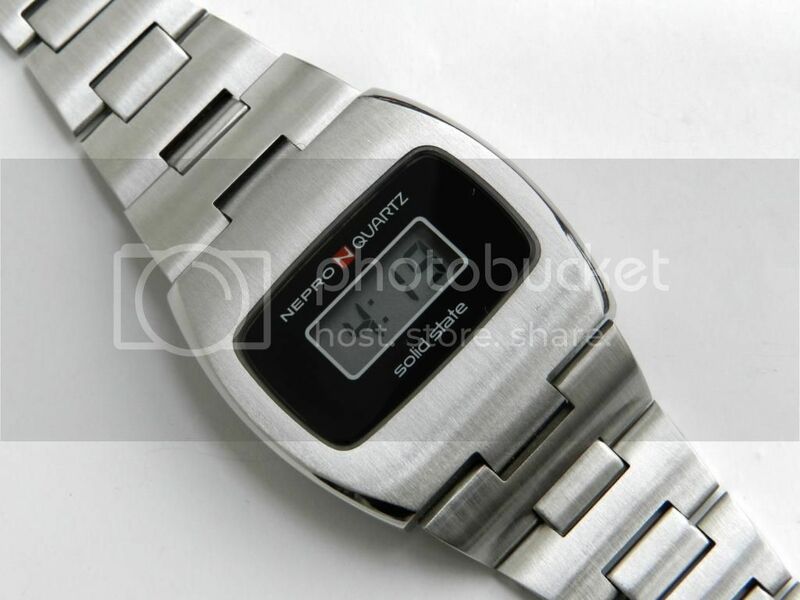 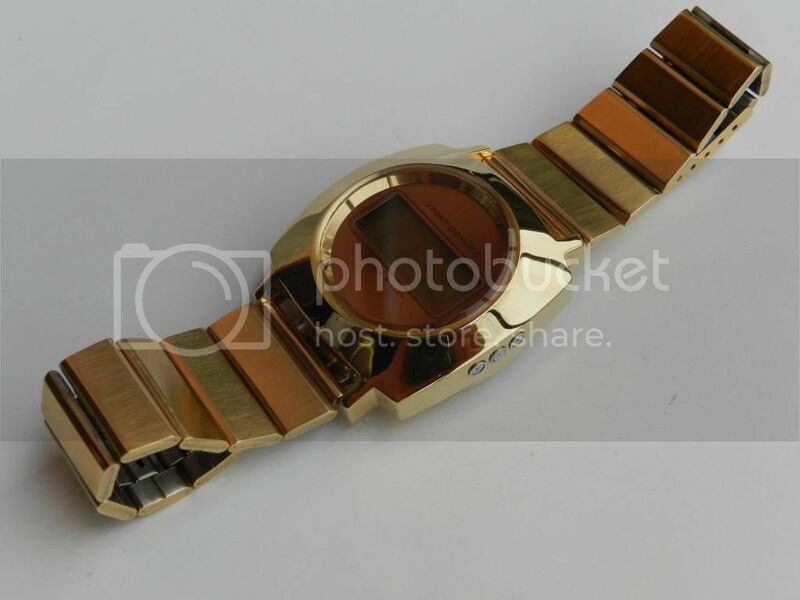 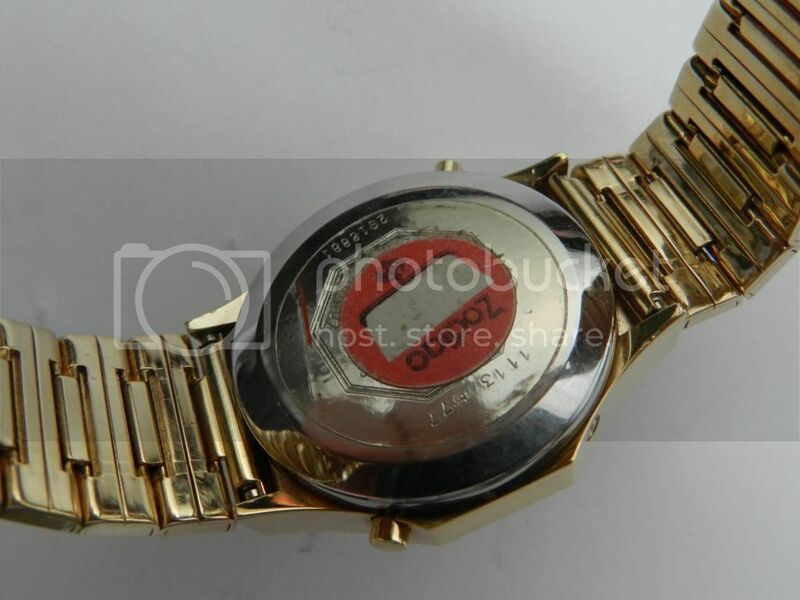 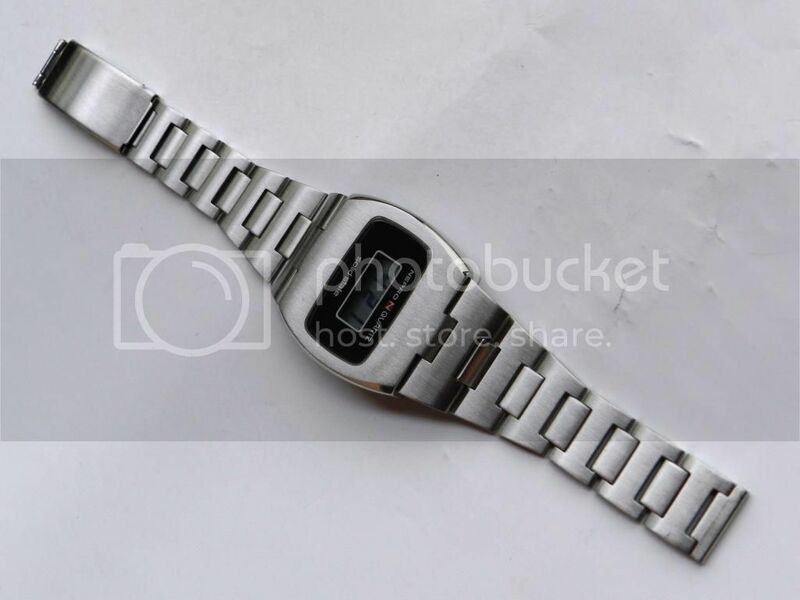 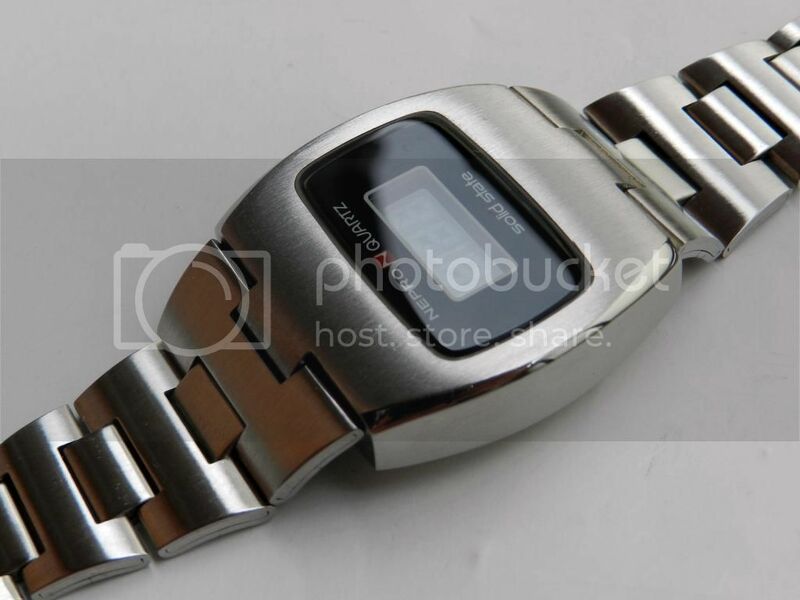 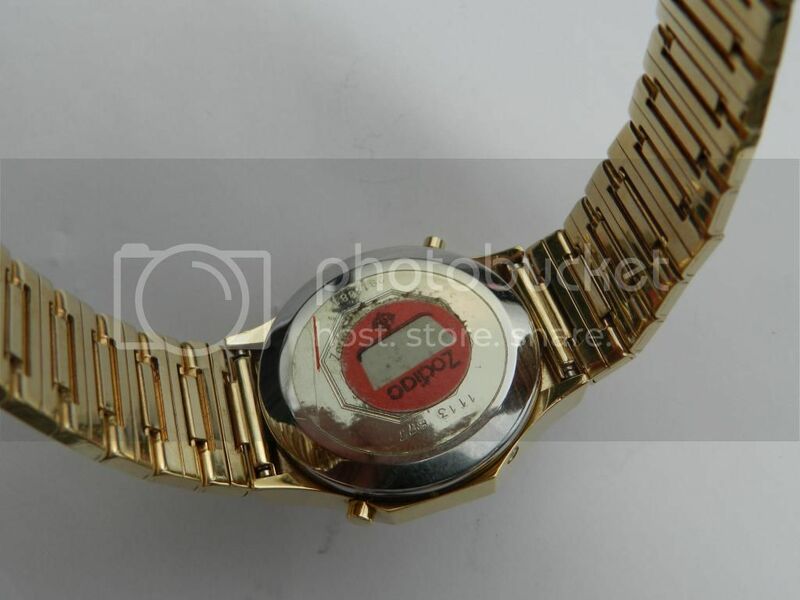 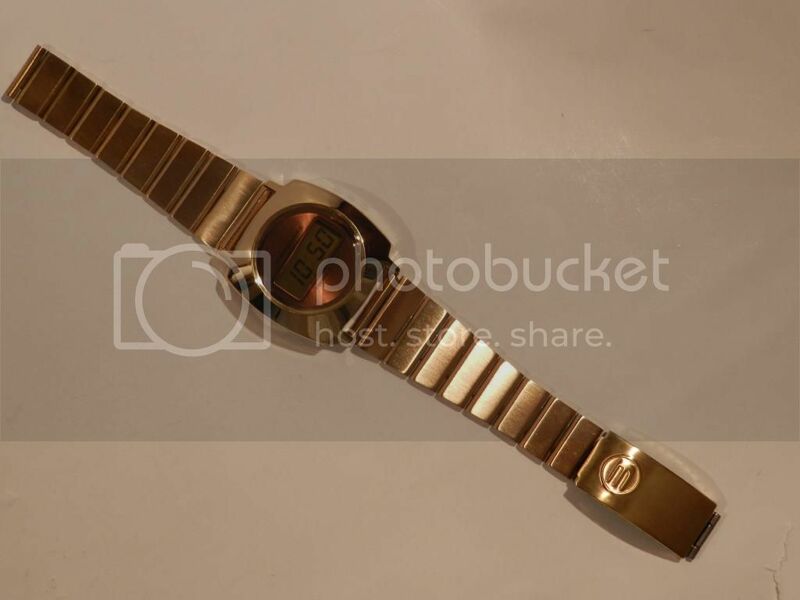 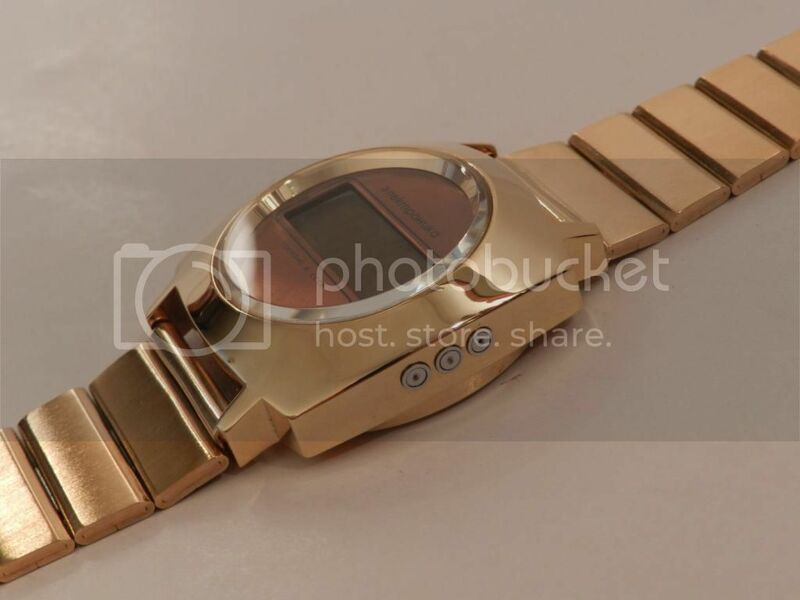 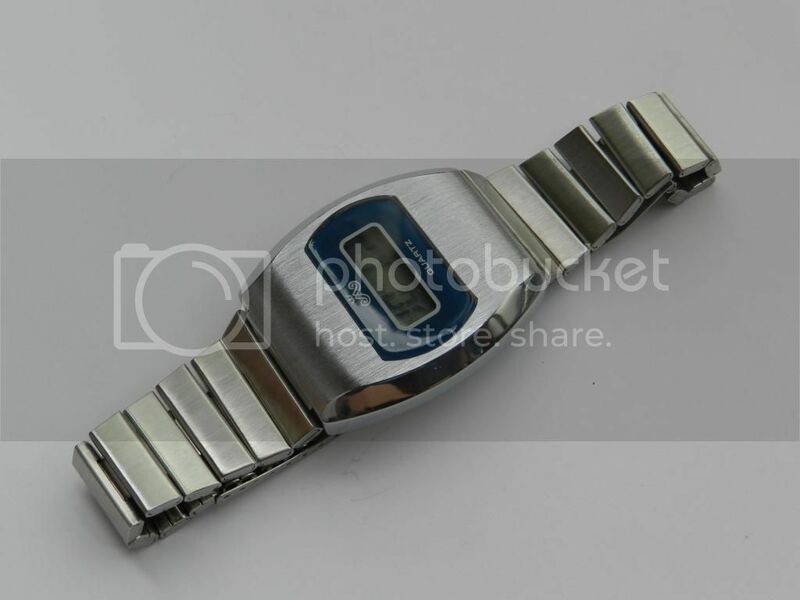 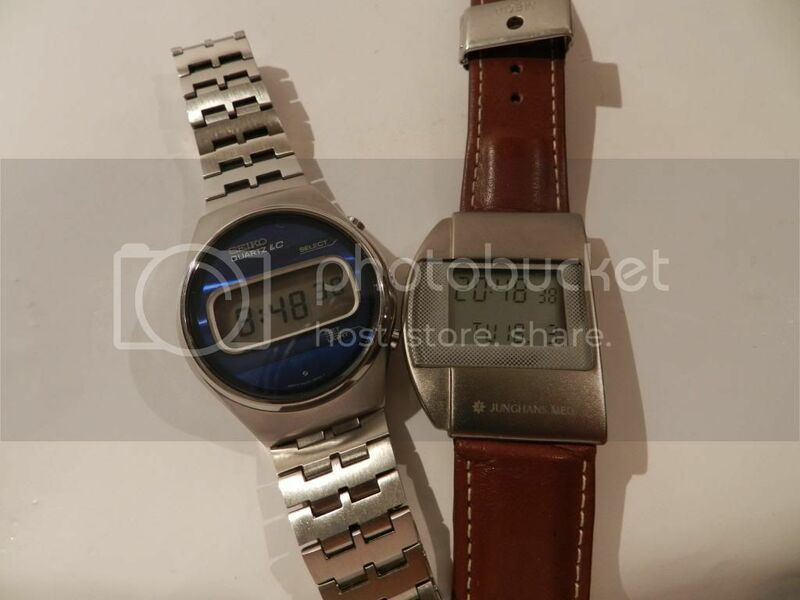 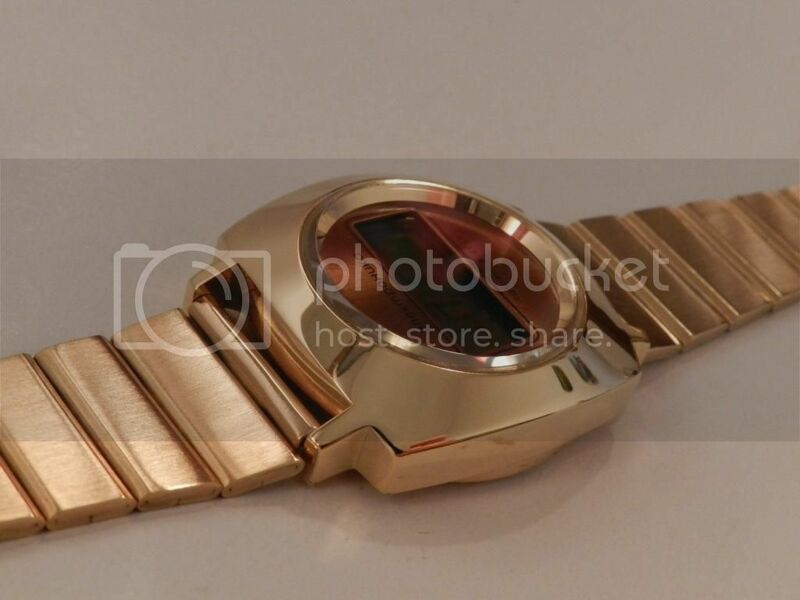 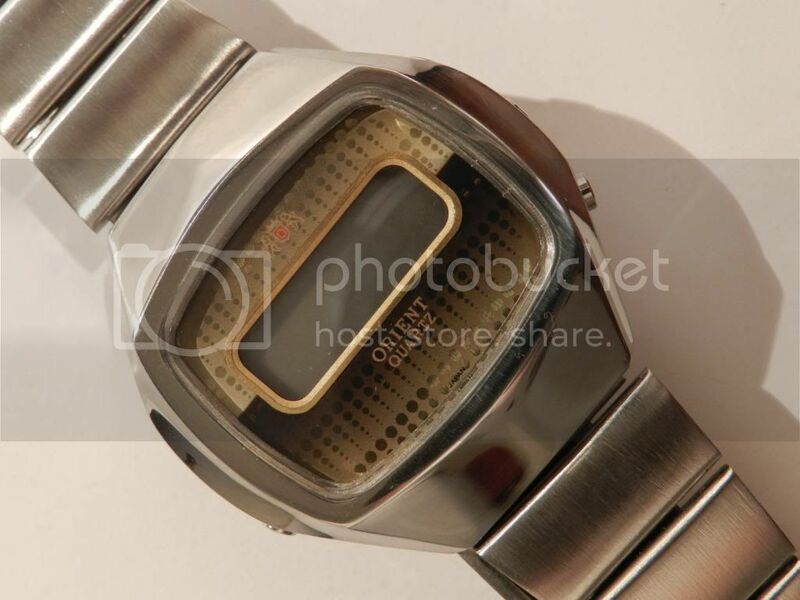 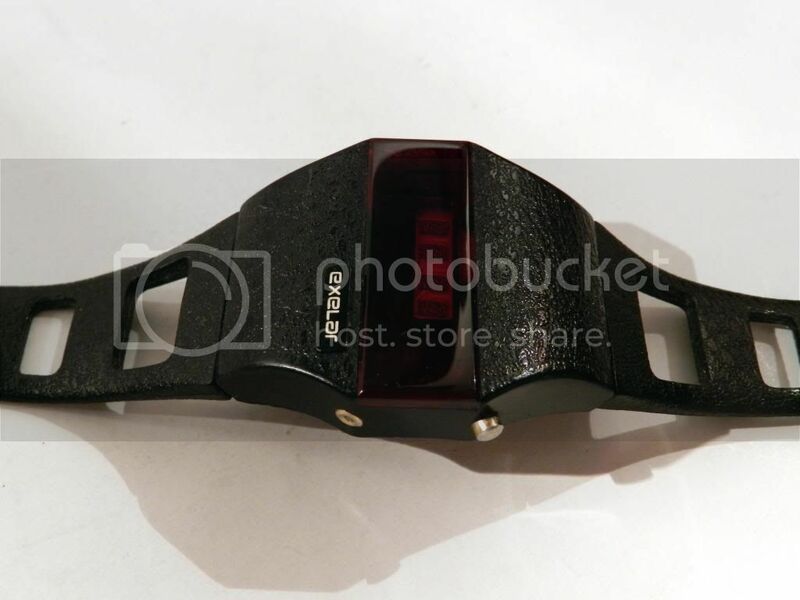 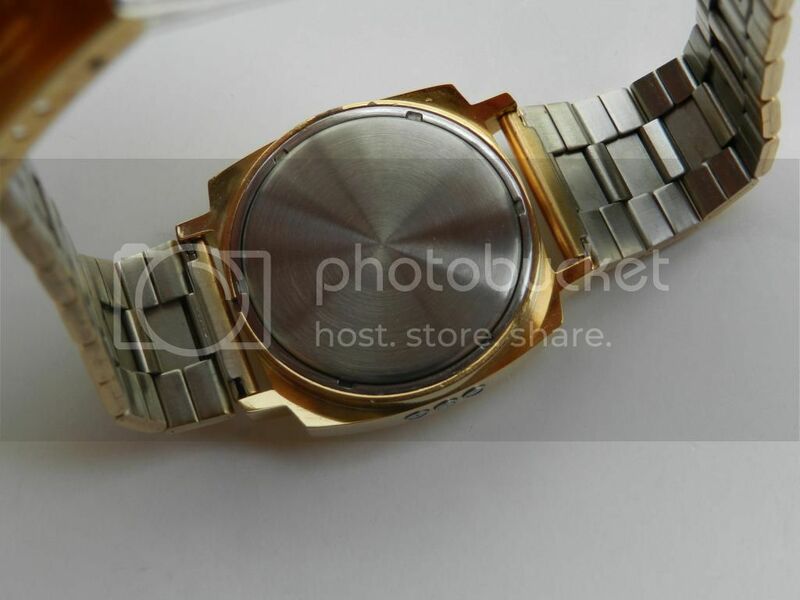 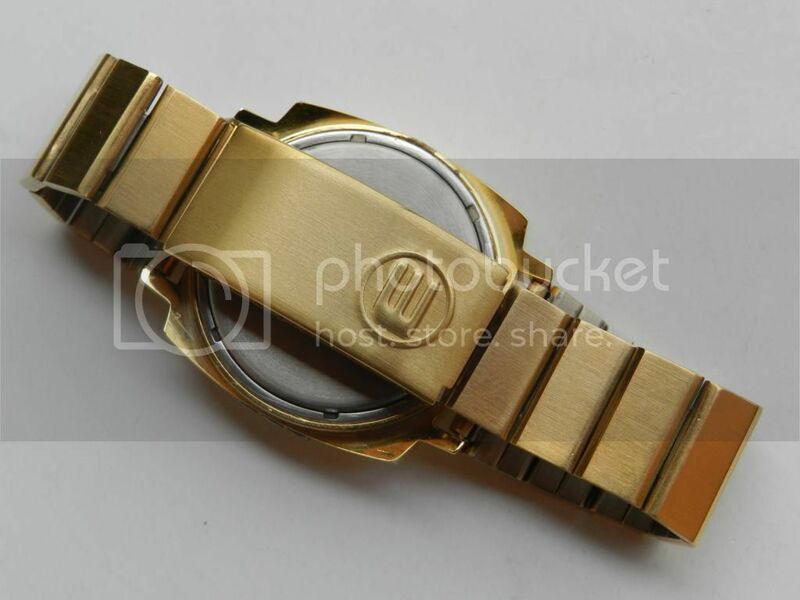 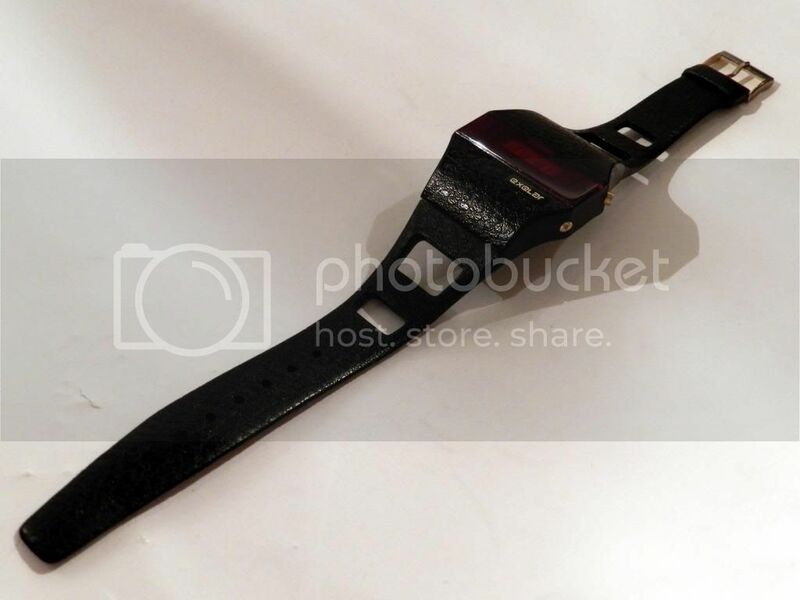 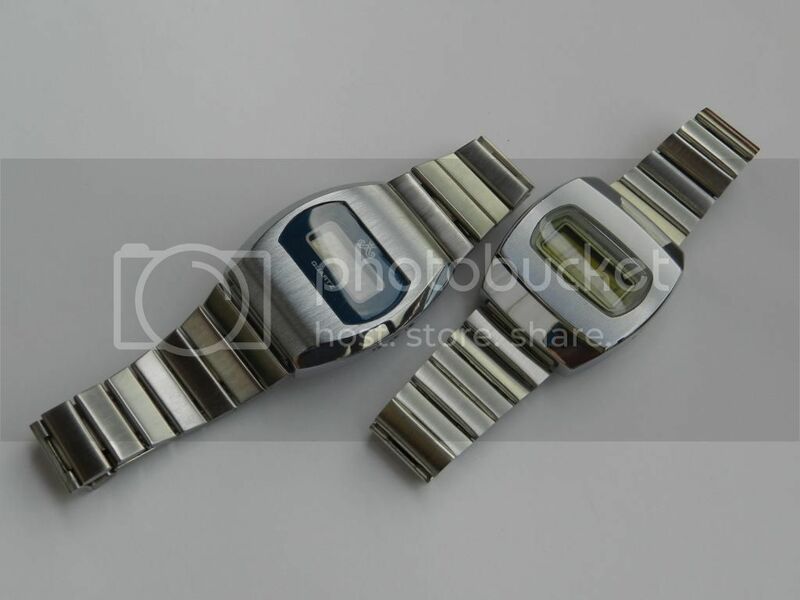 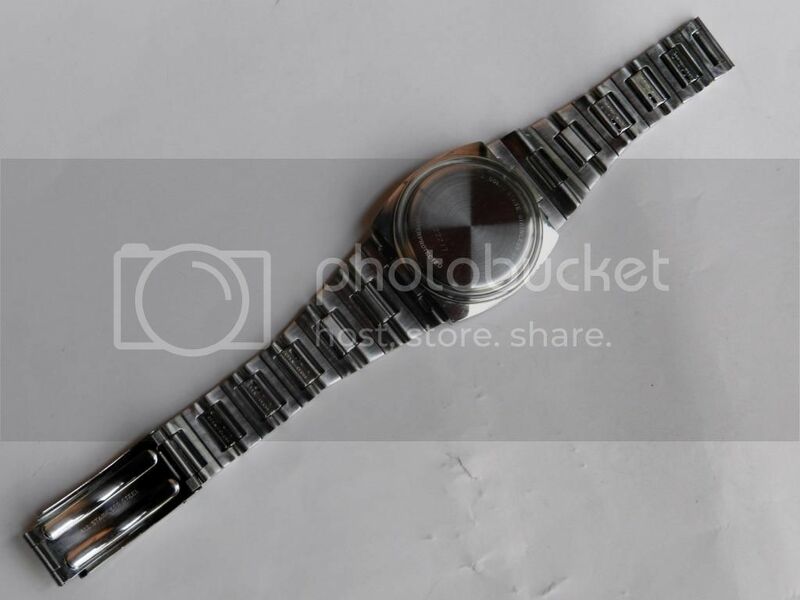 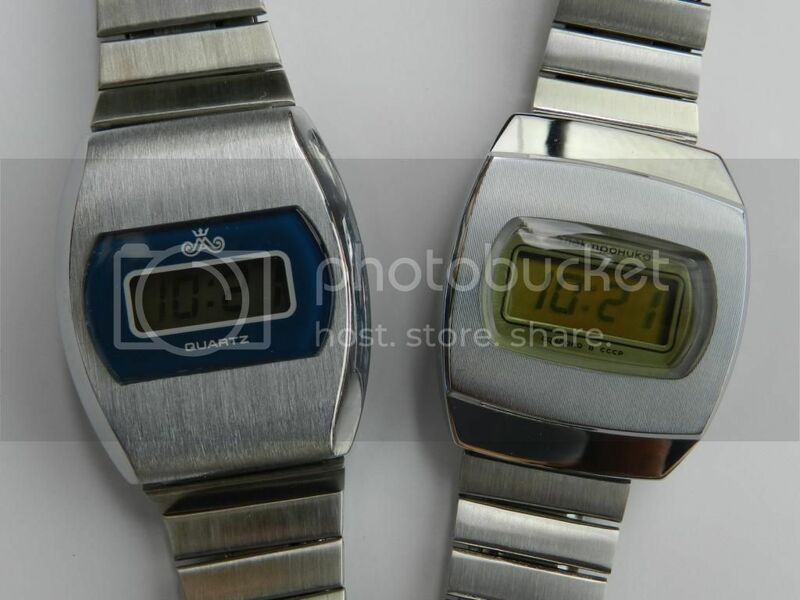 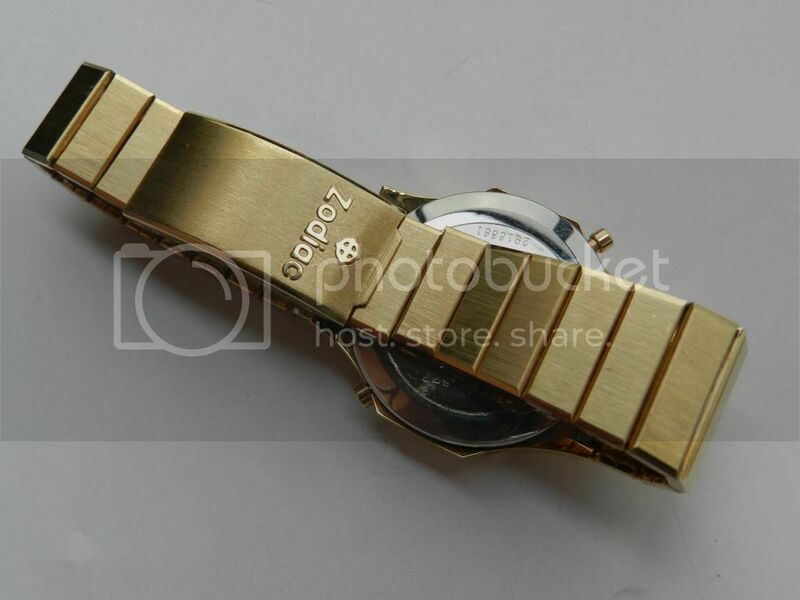 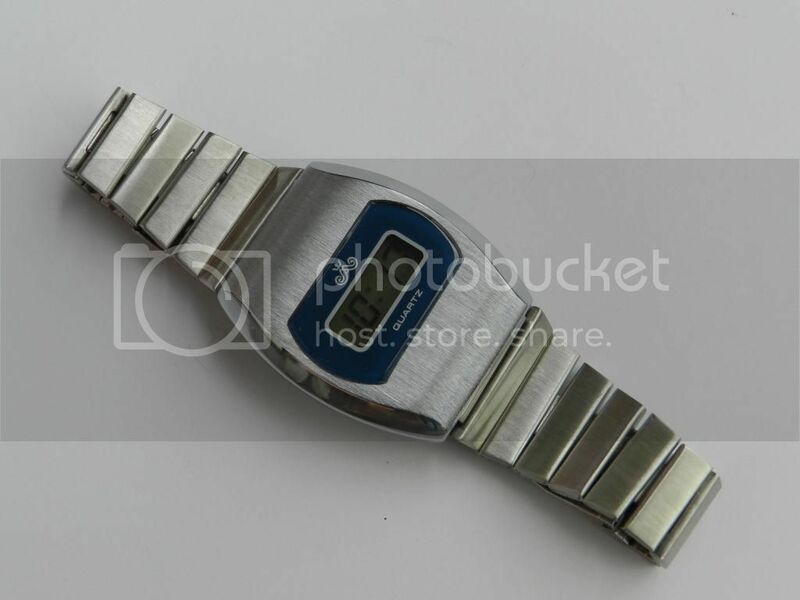 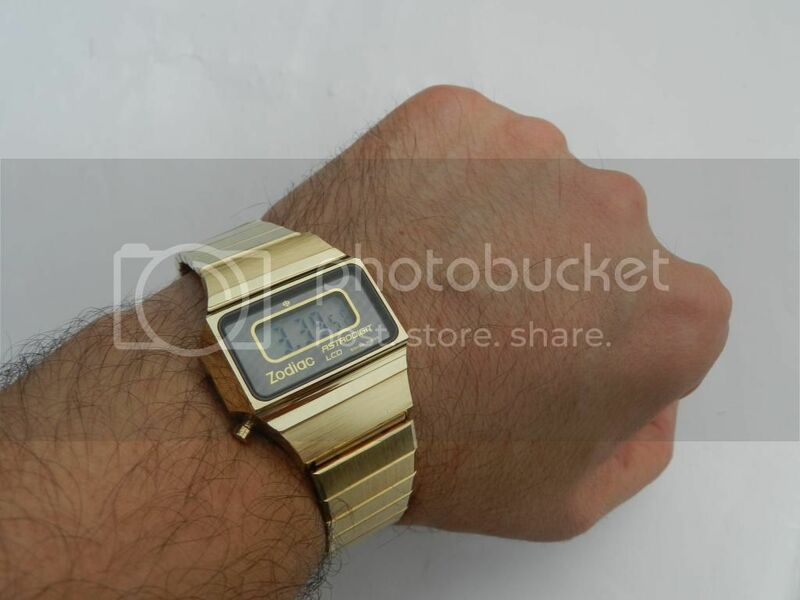 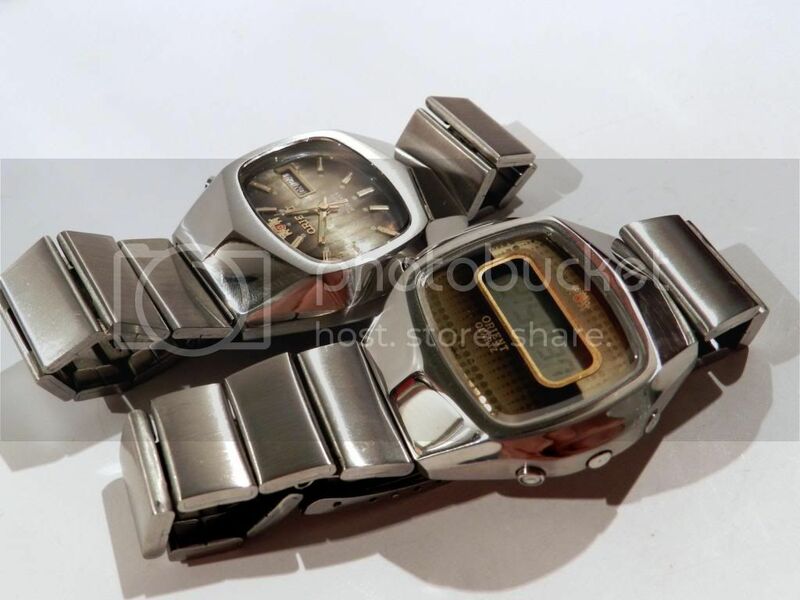 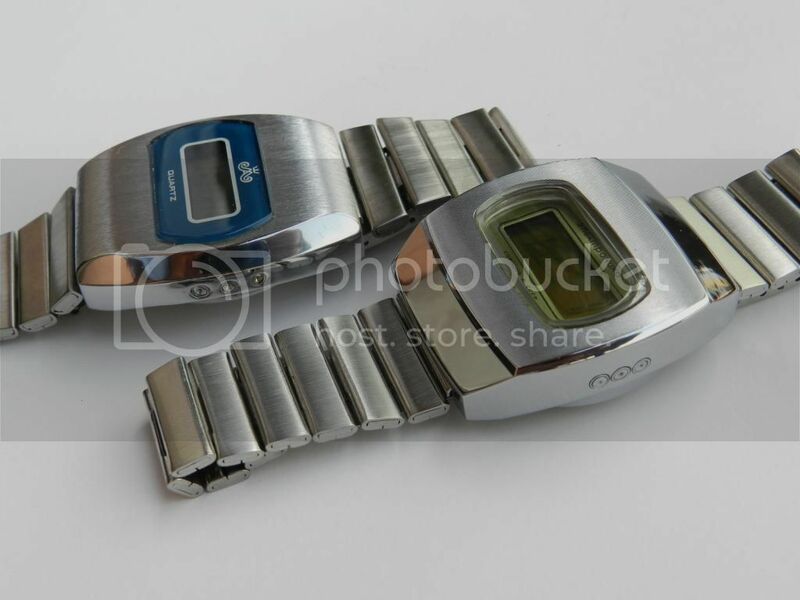 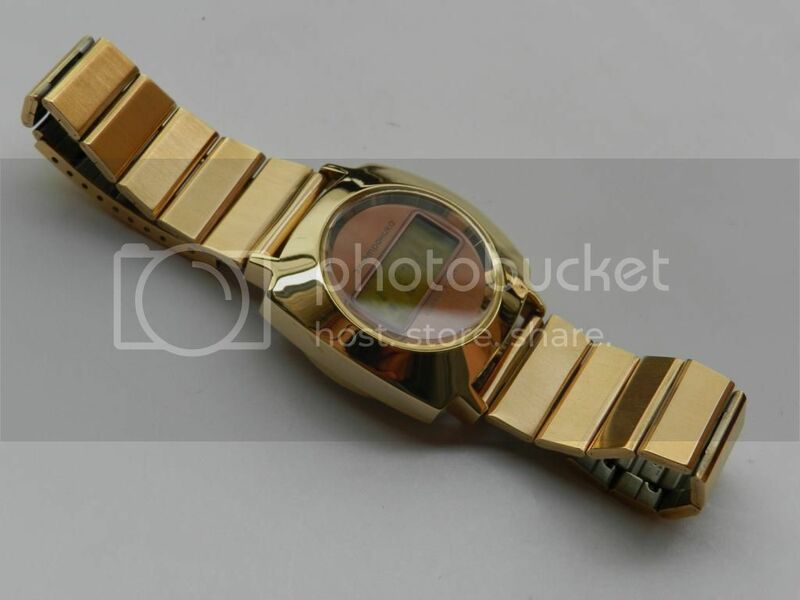 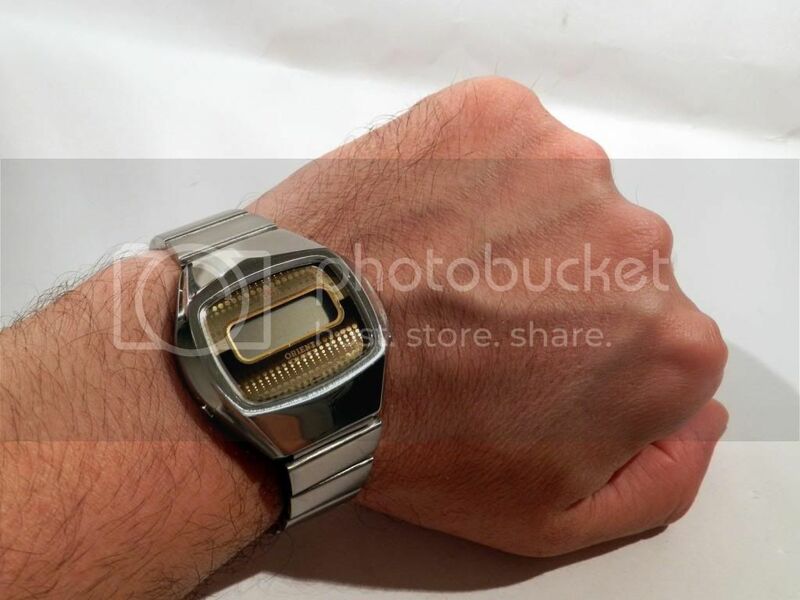 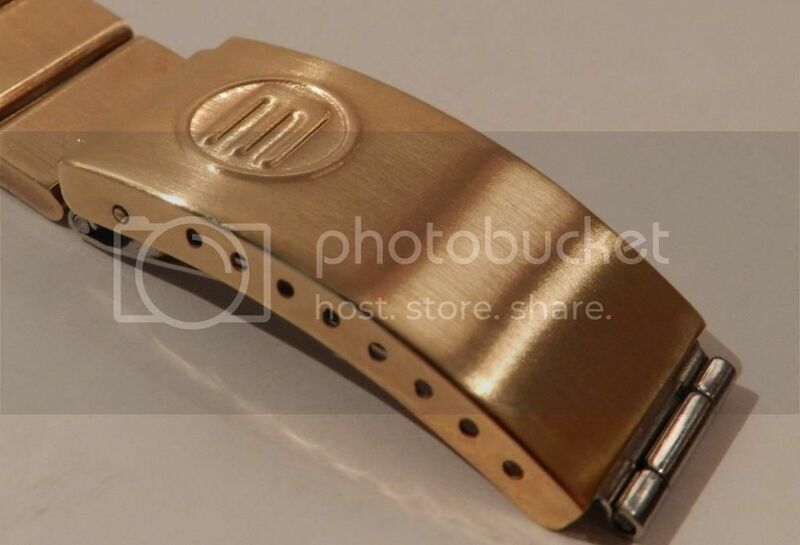 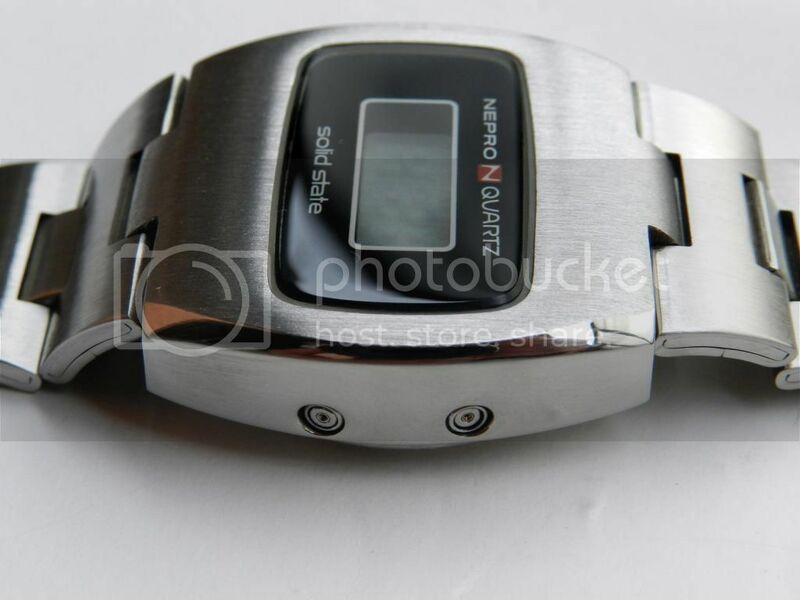 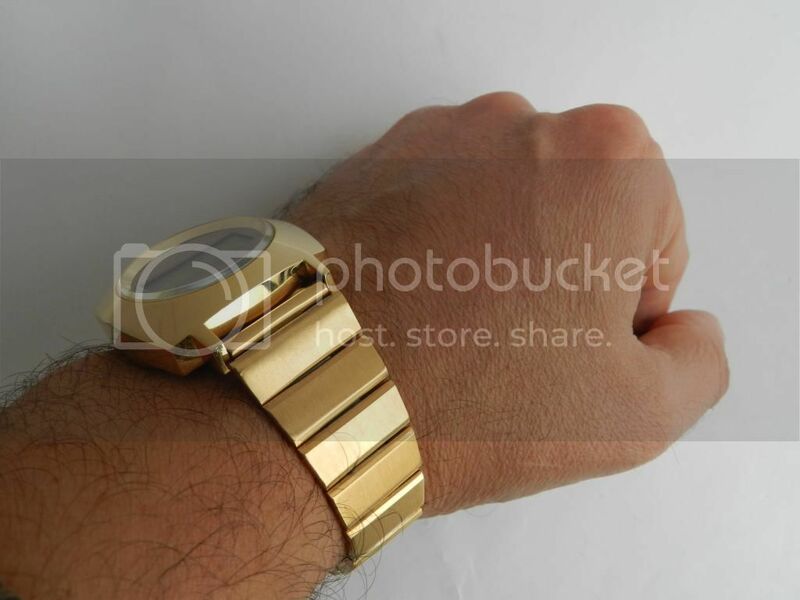 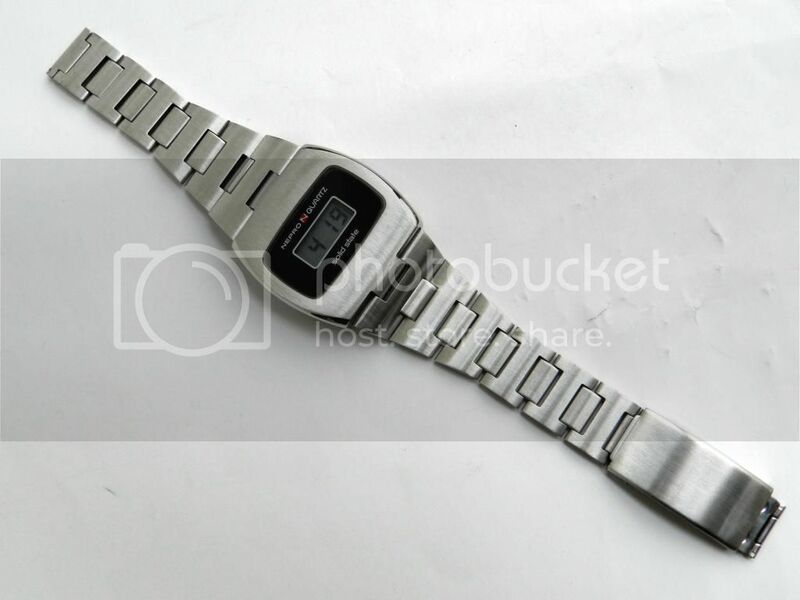 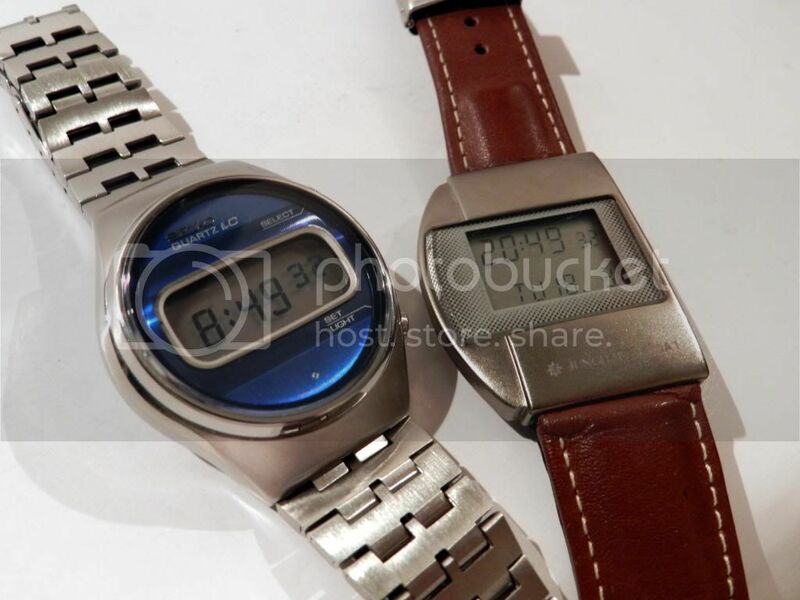 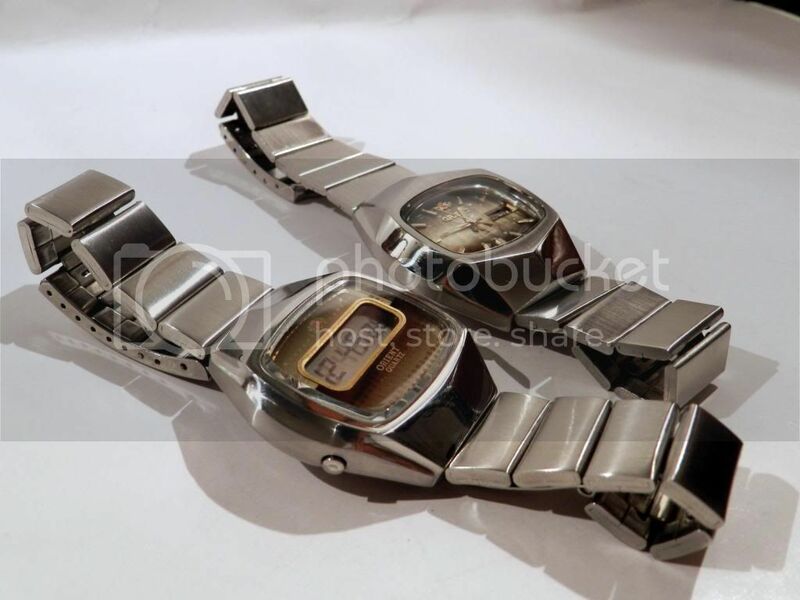 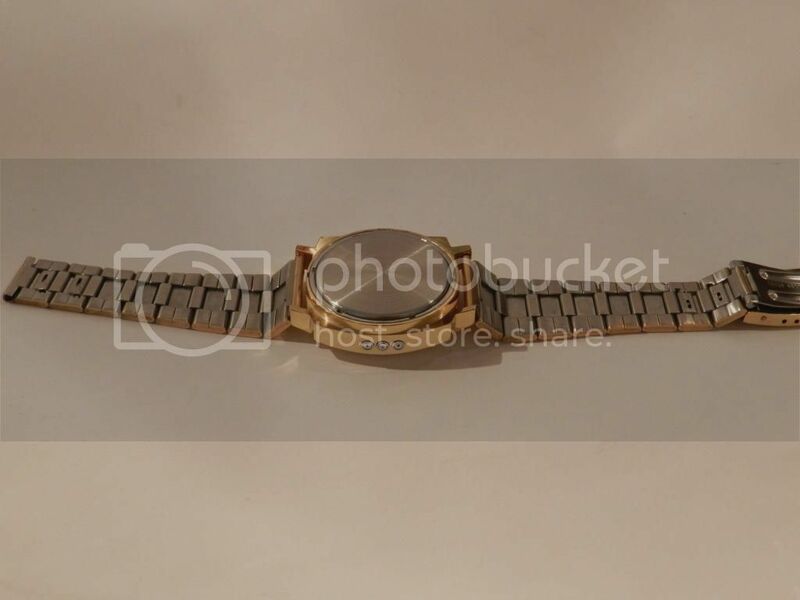 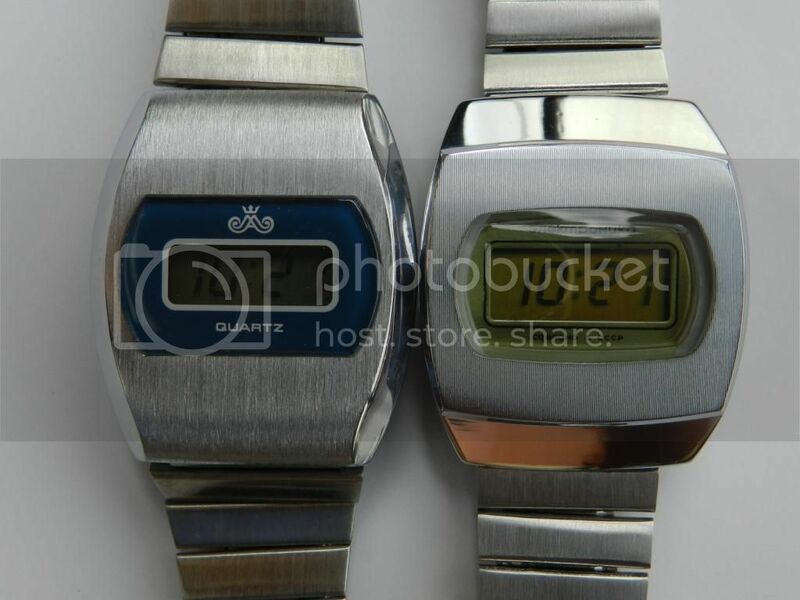 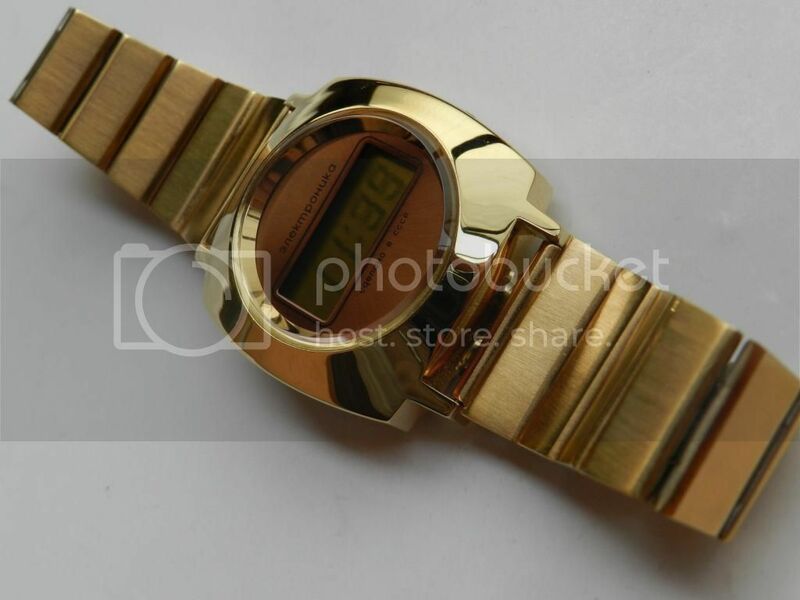 No, these watches are made ​​of stainless steel, and polishing is enough to bring in perfect condition. 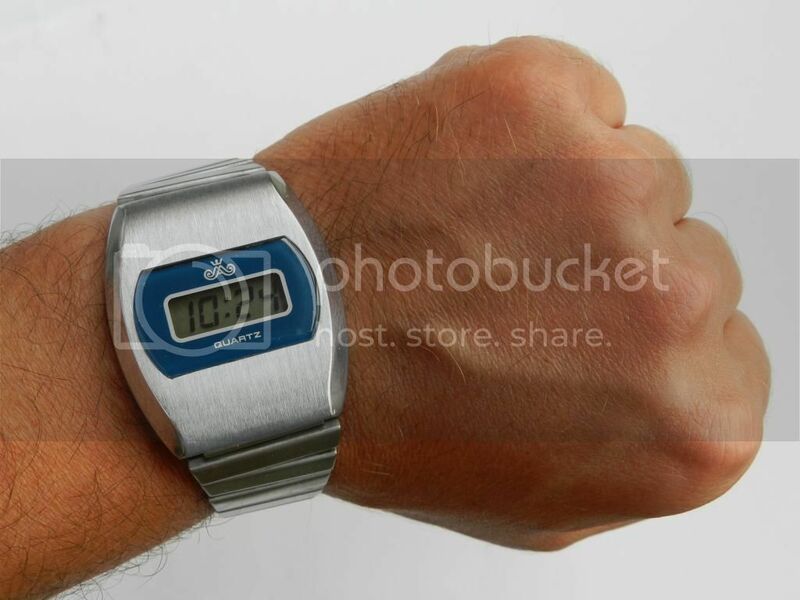 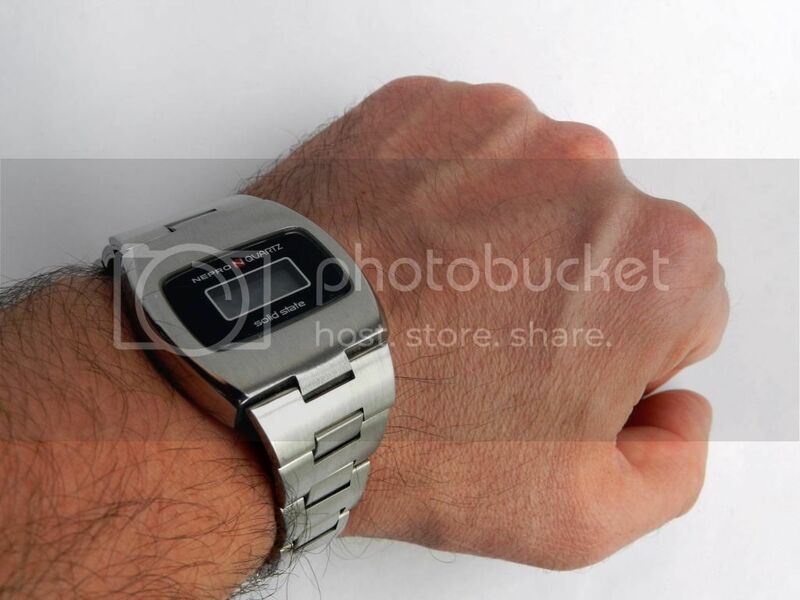 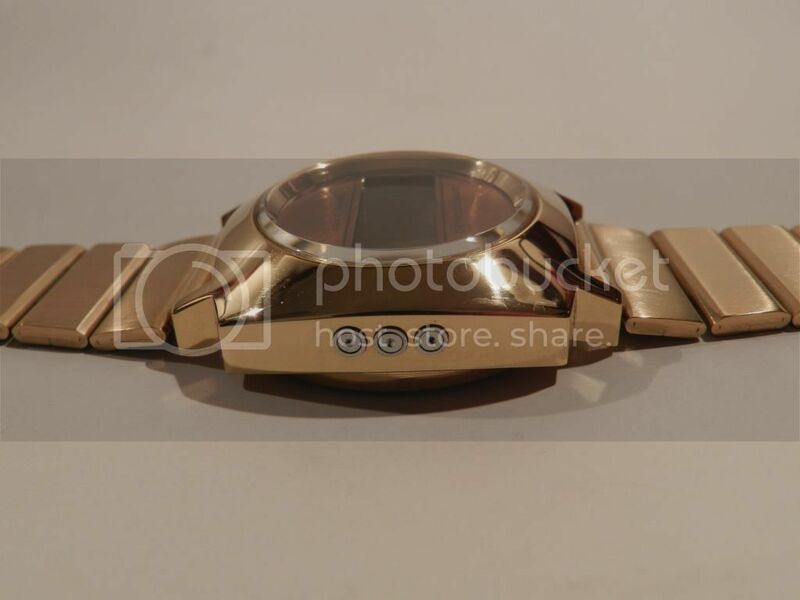 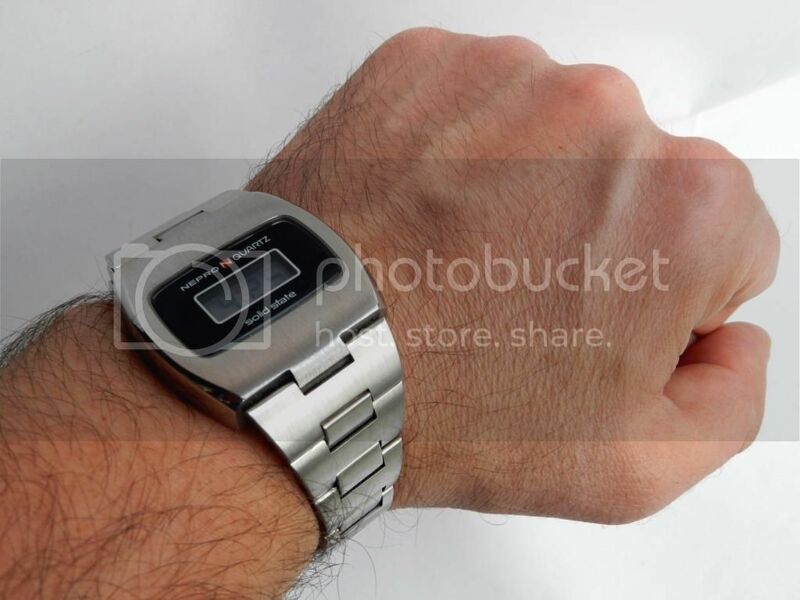 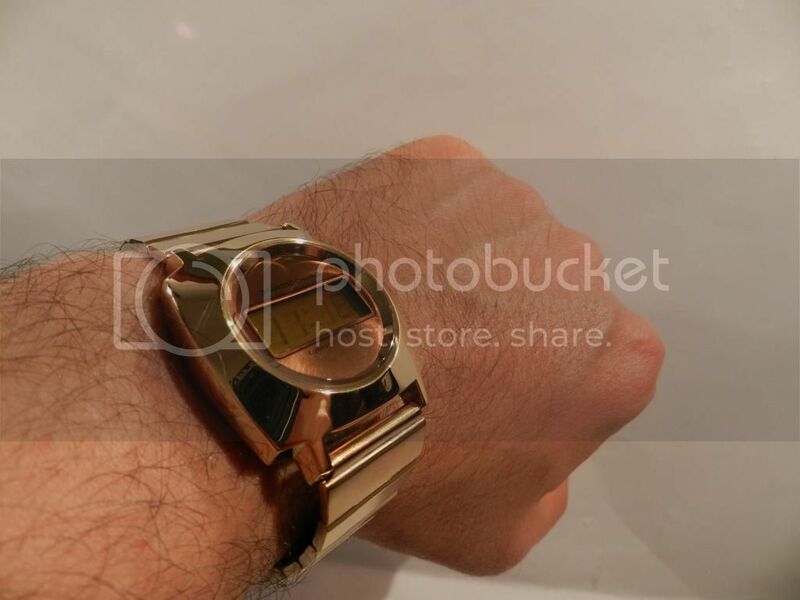 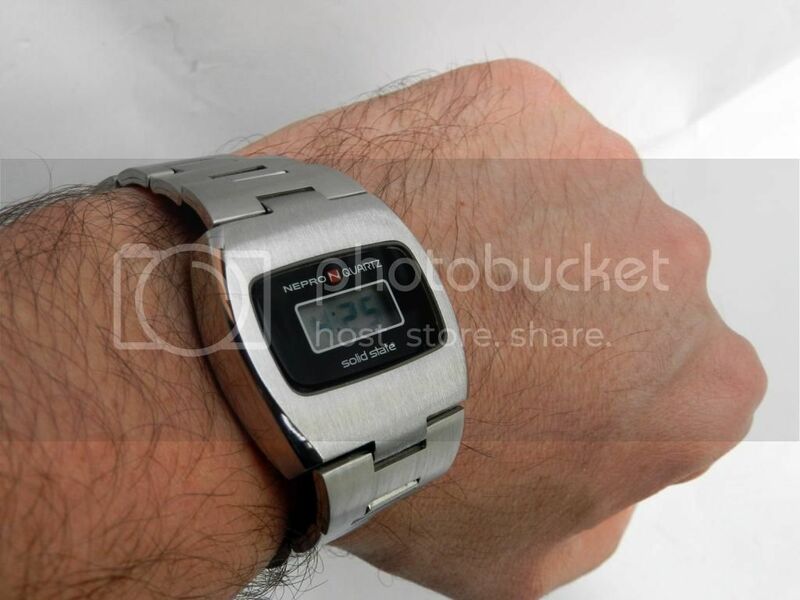 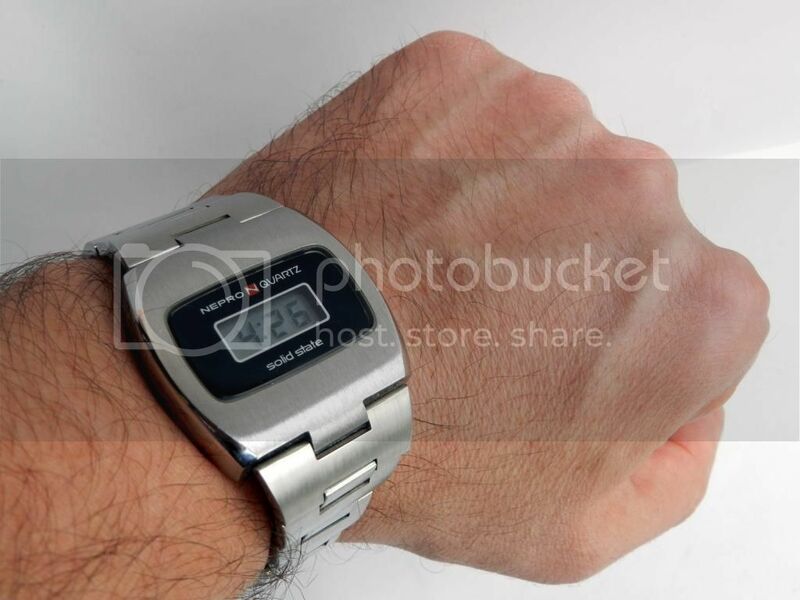 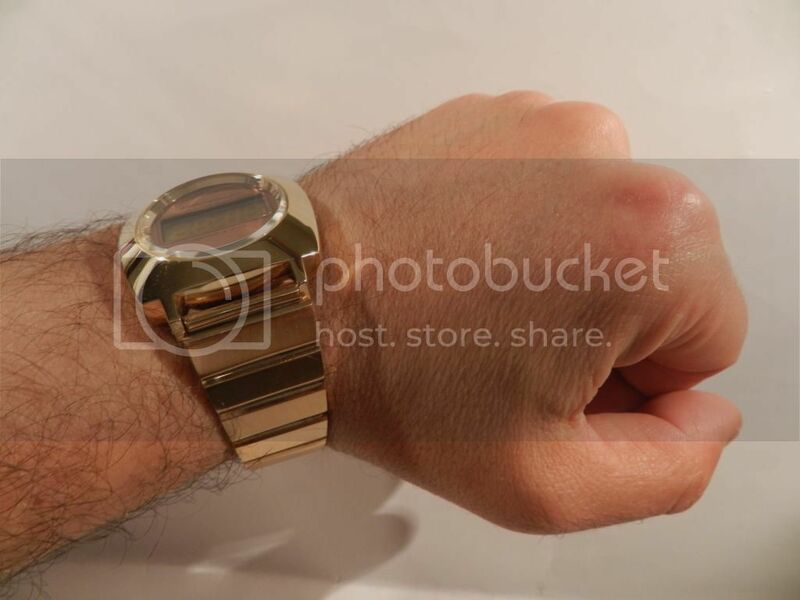 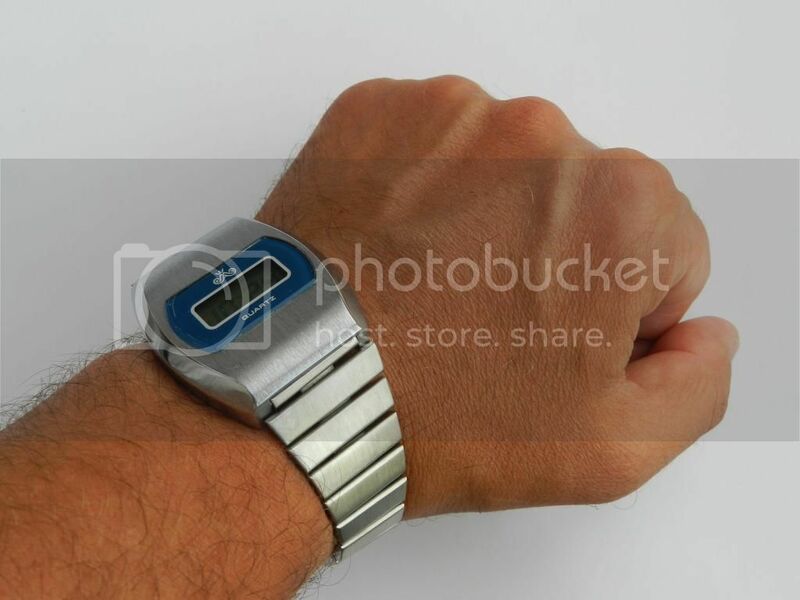 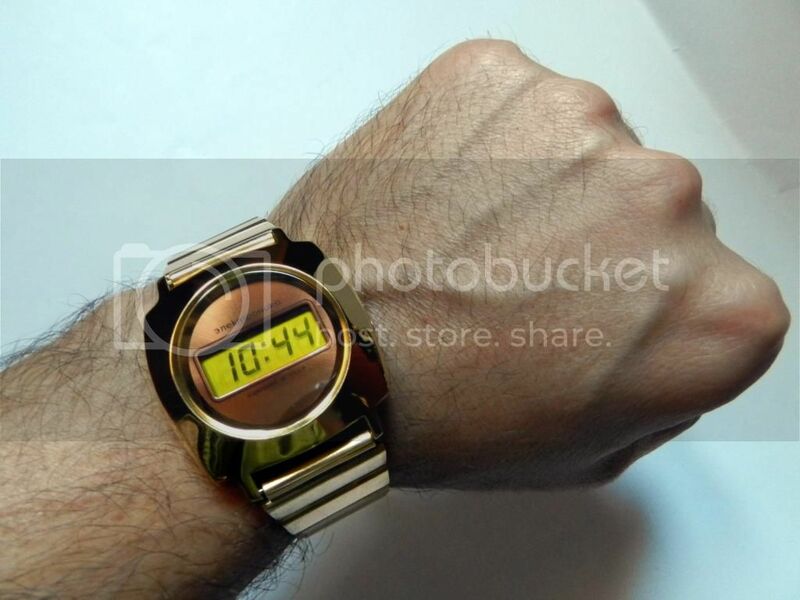 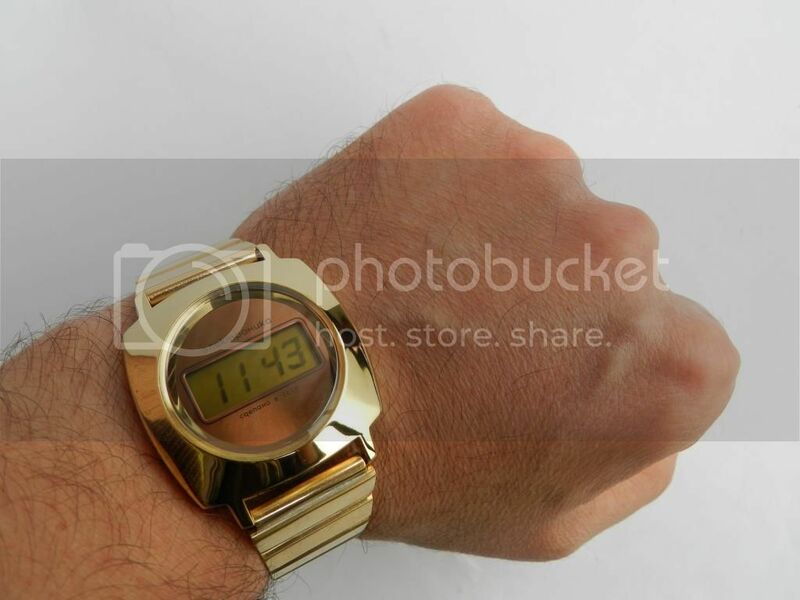 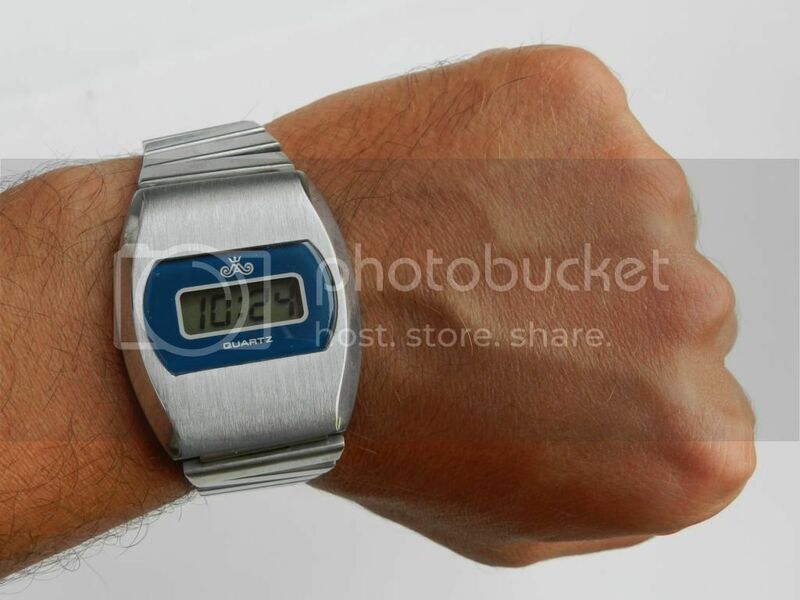 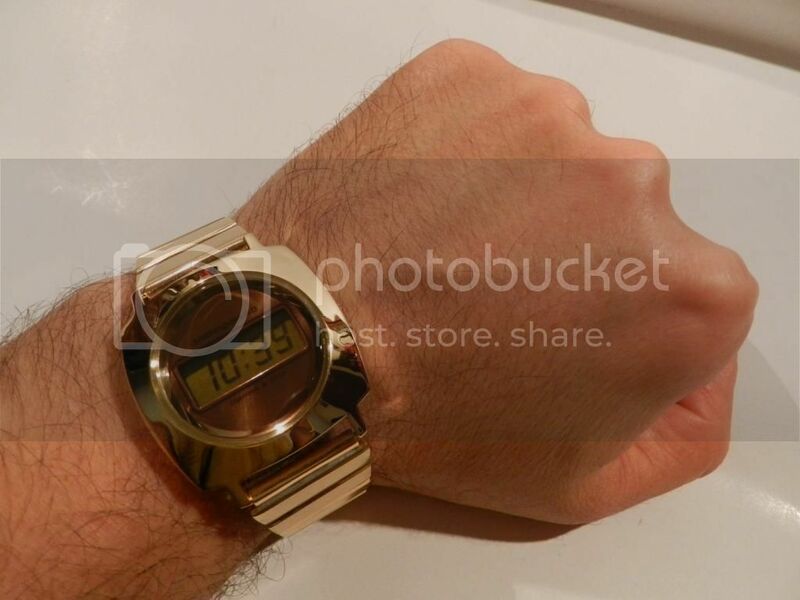 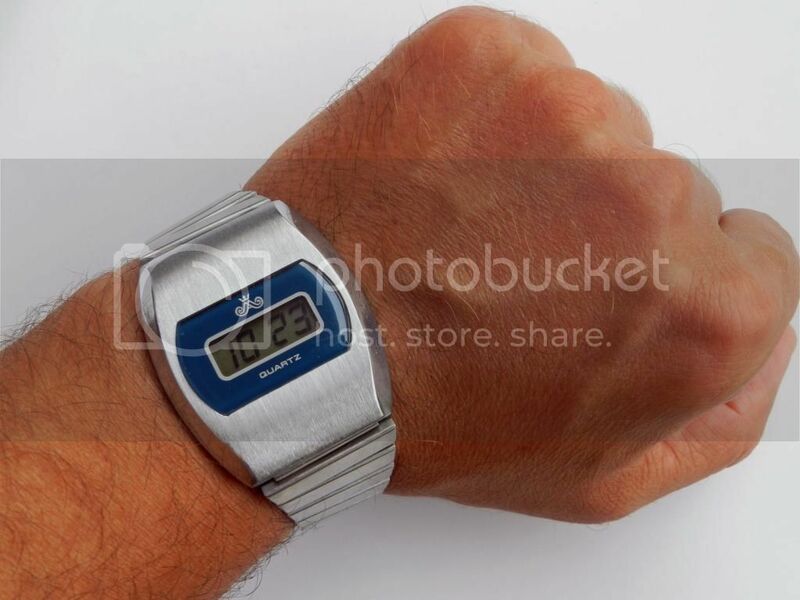 This is not a mega rare watch, this is a giga rare !!!!!! 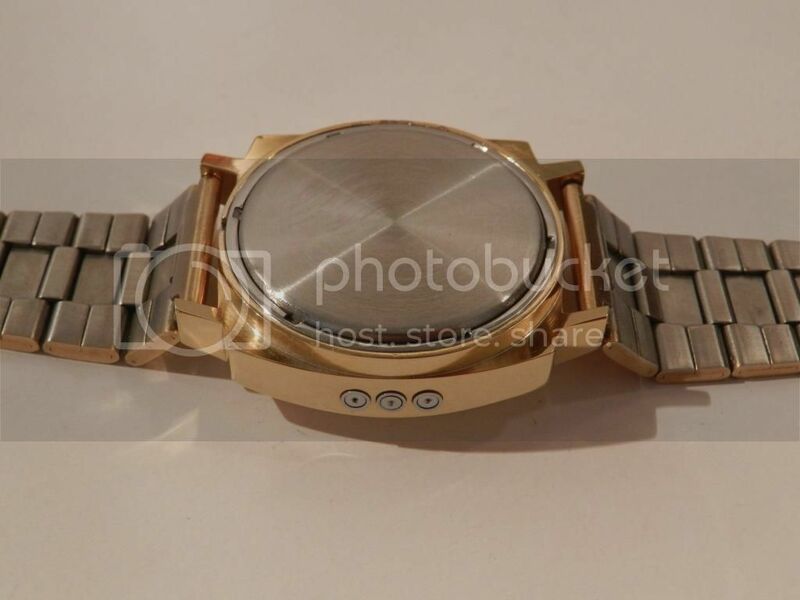 Elektronika first series, in gold, with mineral glass and brown dial !!! 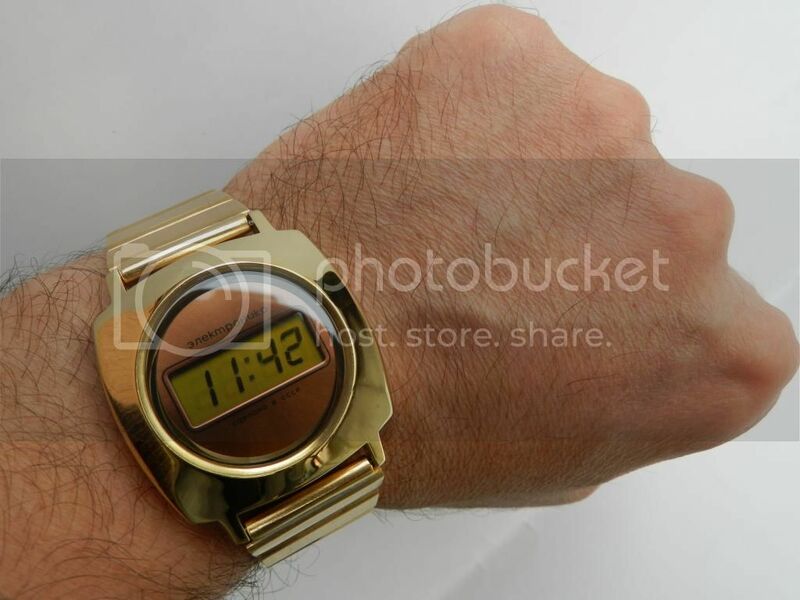 Incredible find...never seen before. 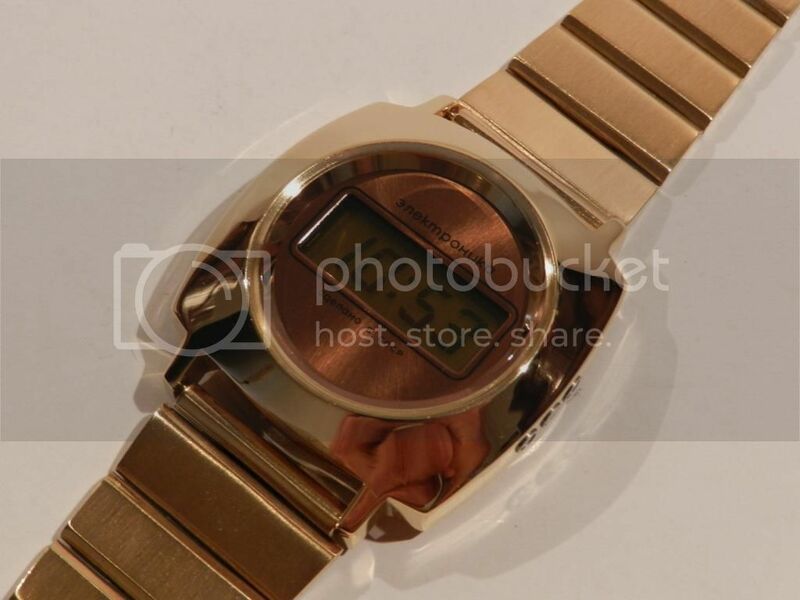 A beauty! 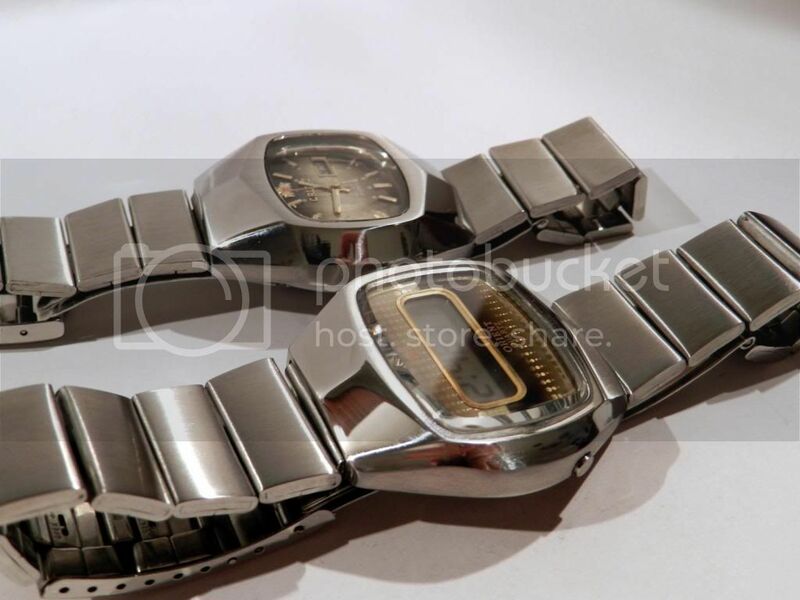 Amazing piece..would love to have one myself so pure. 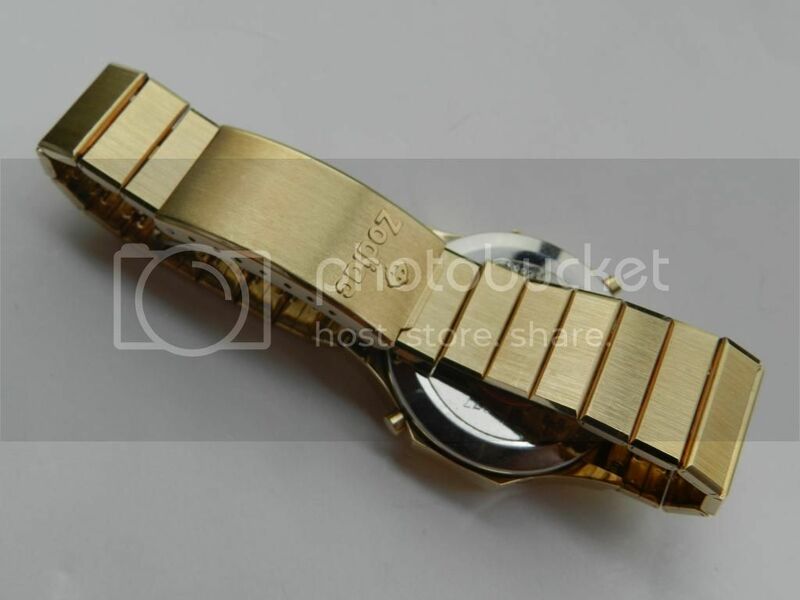 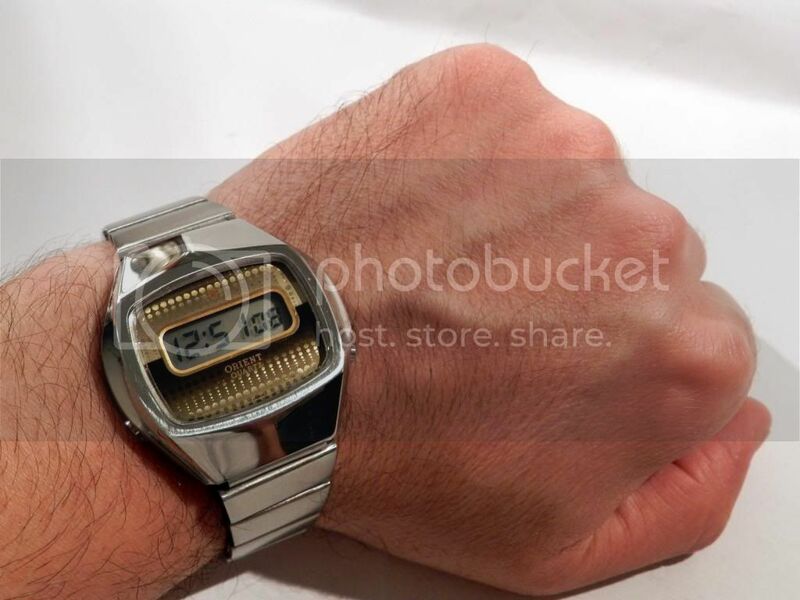 Great pictures, this could be the watch for the villain in the new bond movie. 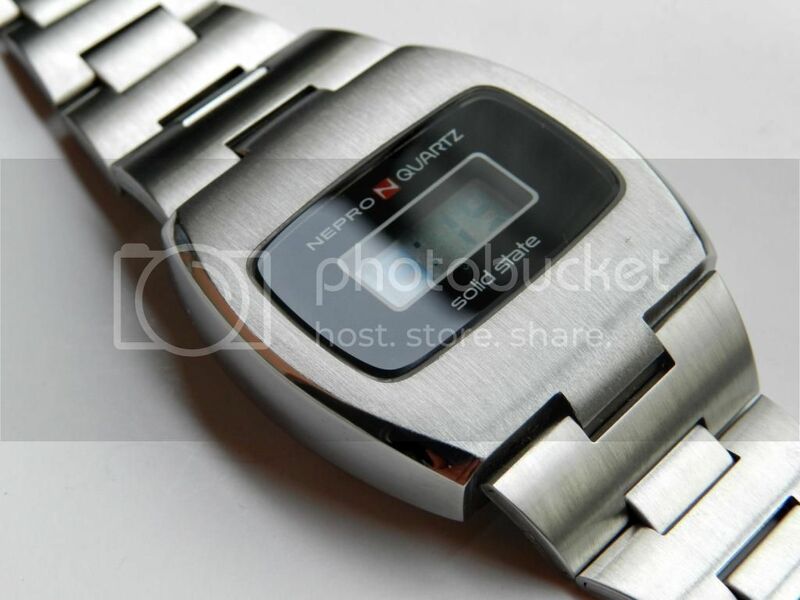 Here's another ultra rare example, Meister Anker Quartz with Elektronika B6 02 module gray display version. 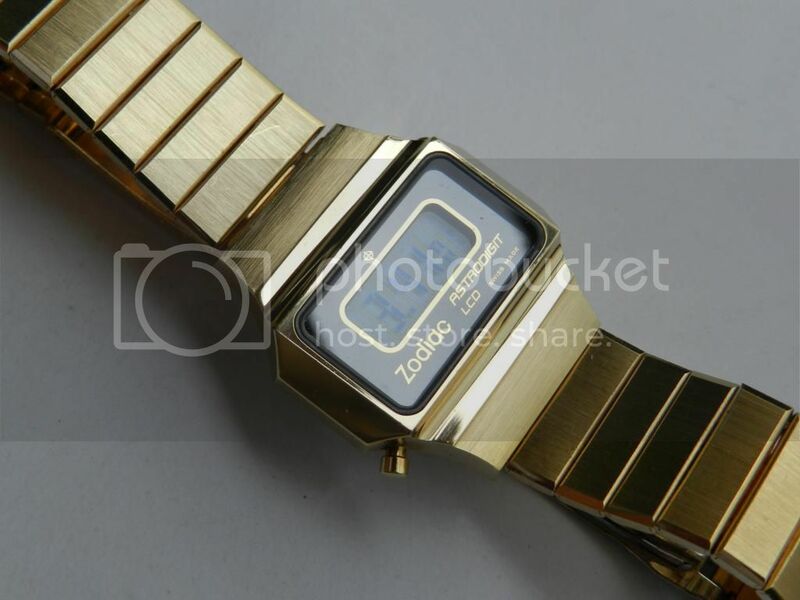 This watch i never had the chance to see before, its an interesting collaboration between the German and USSR watch producers. 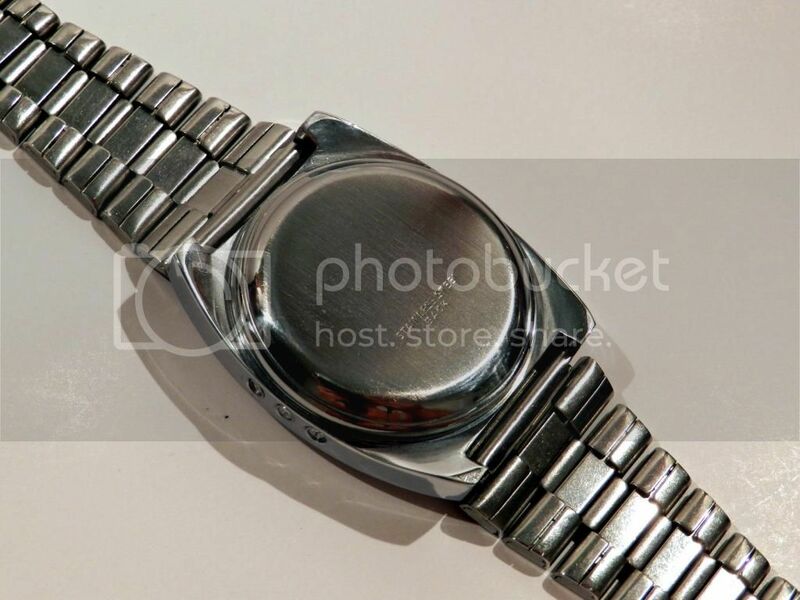 If anyone has some more information please write. 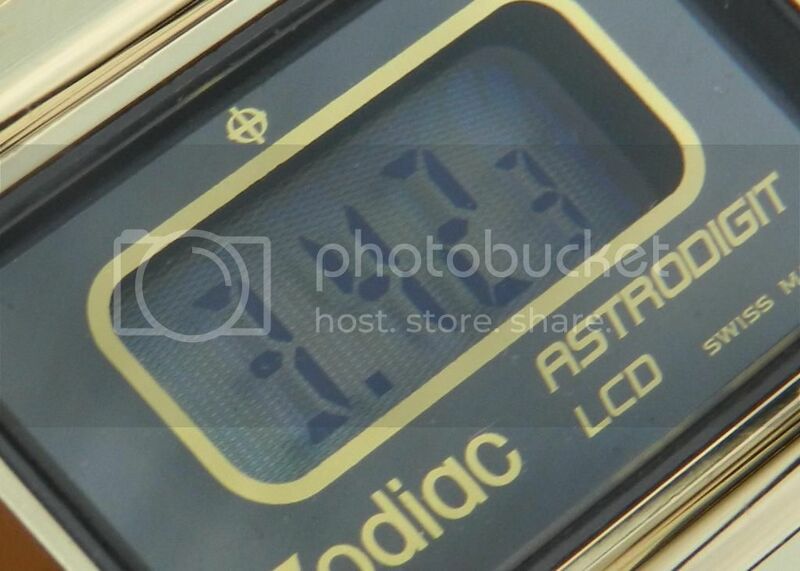 Iggy, you're playing in my ballpark...love these pure beauty's to Just the essence of time, 4 digits. 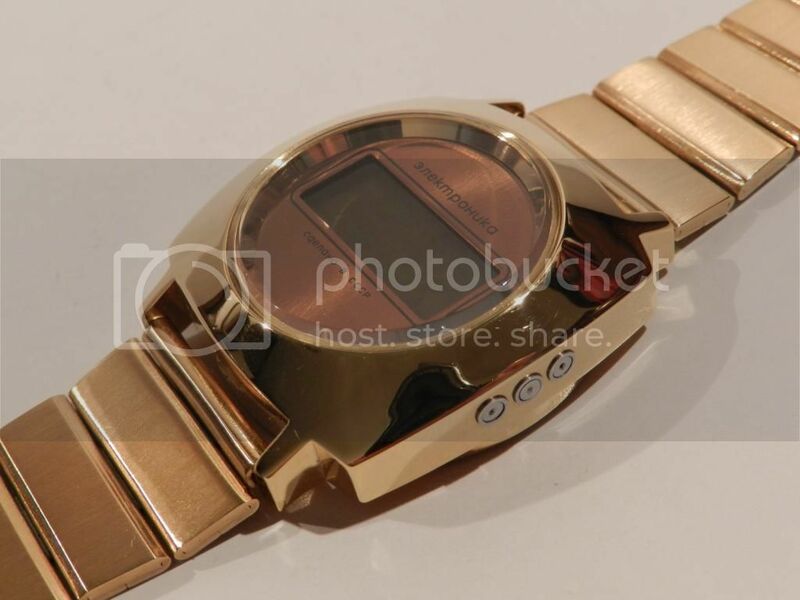 That gold B6-02 looks stunning Iggy. 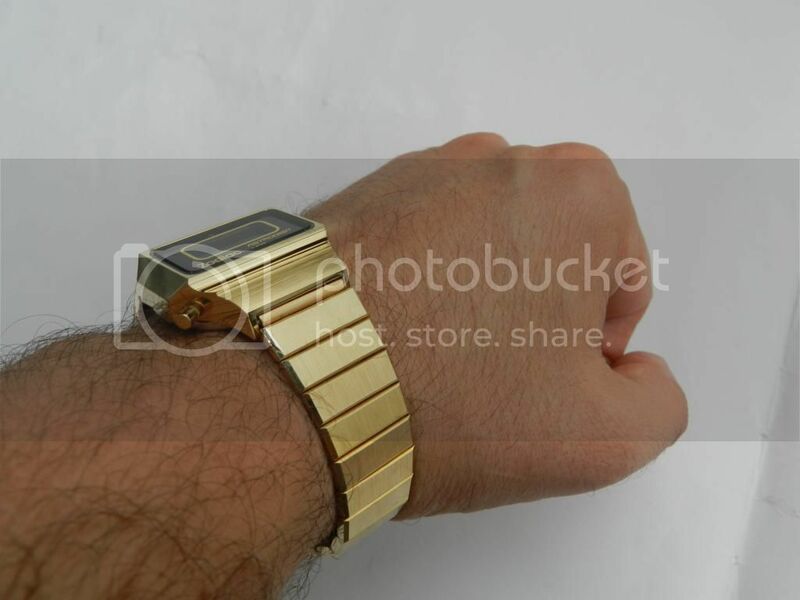 Surely you refinished the case and bracelet ? 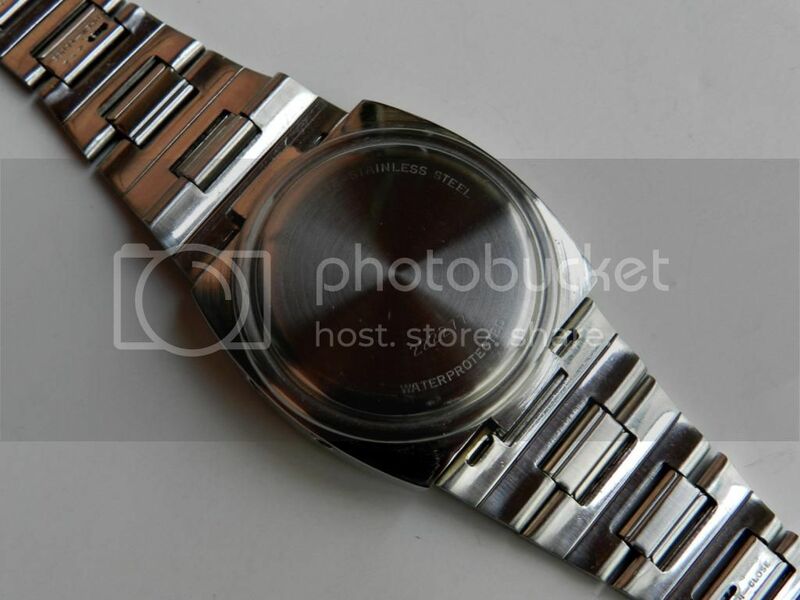 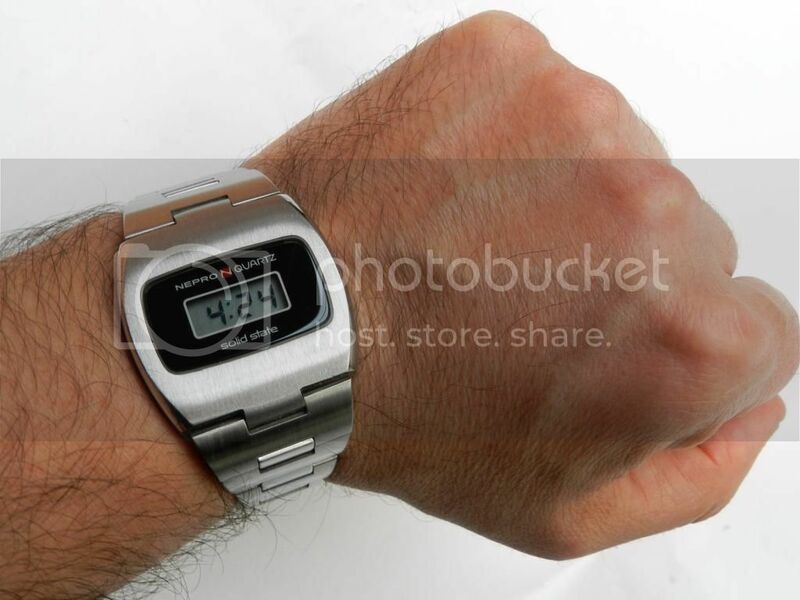 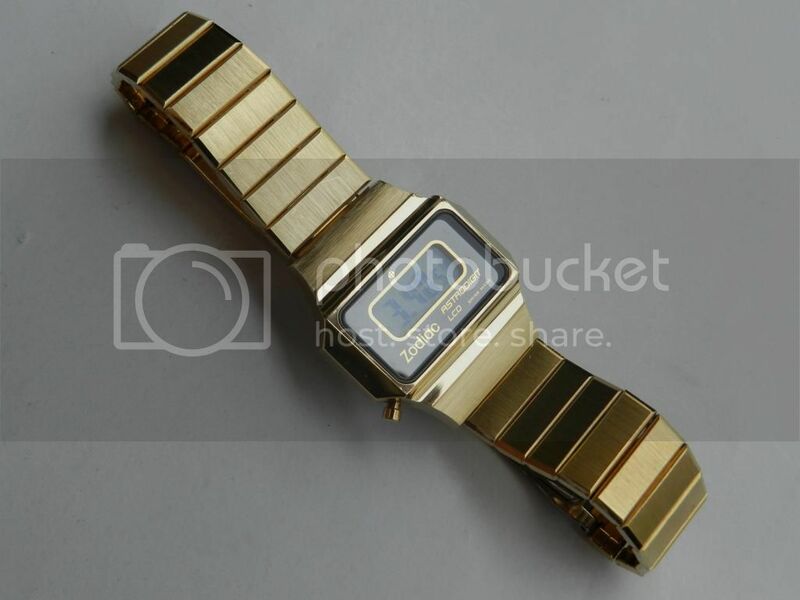 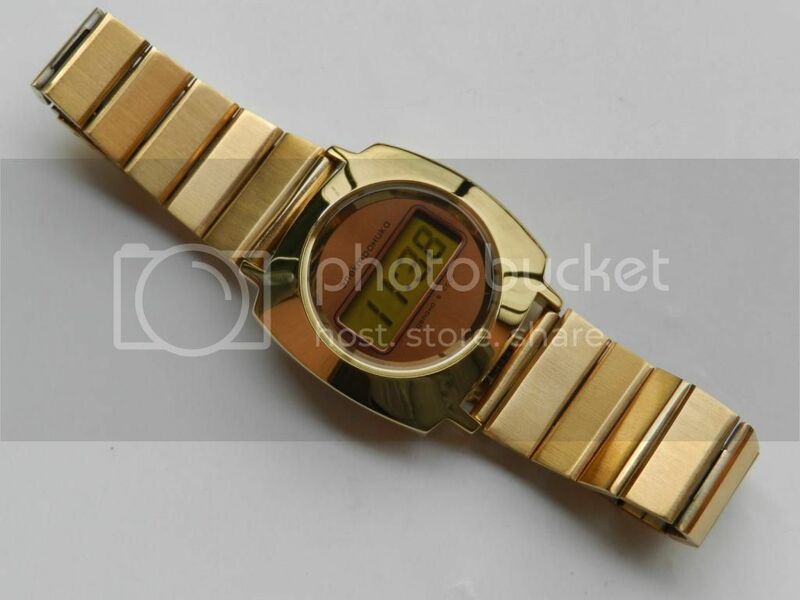 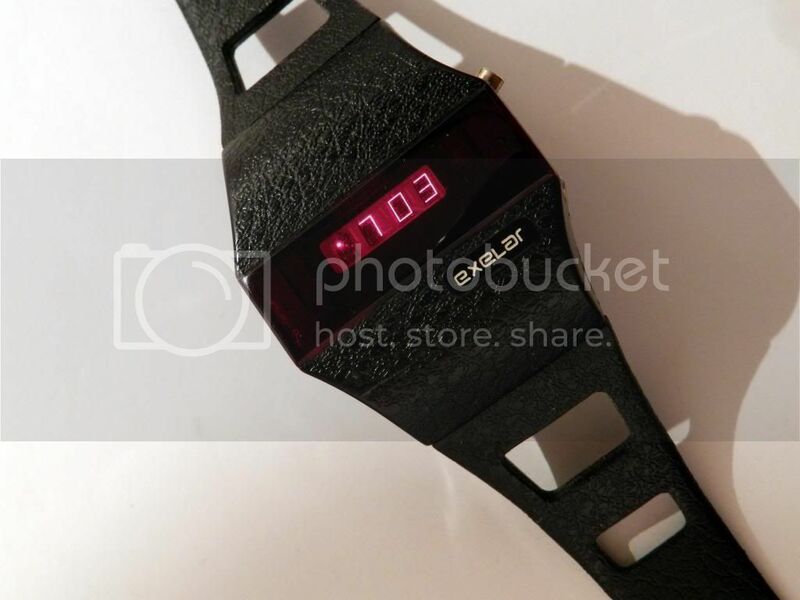 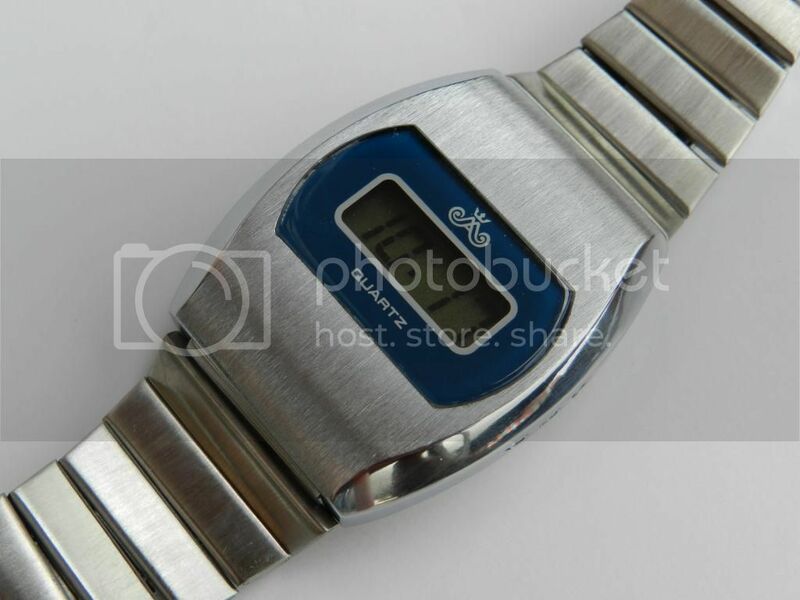 When I bought this watch (Elektronika) it had almost invisible light scratches, I'm easily removed it with fine polishing. 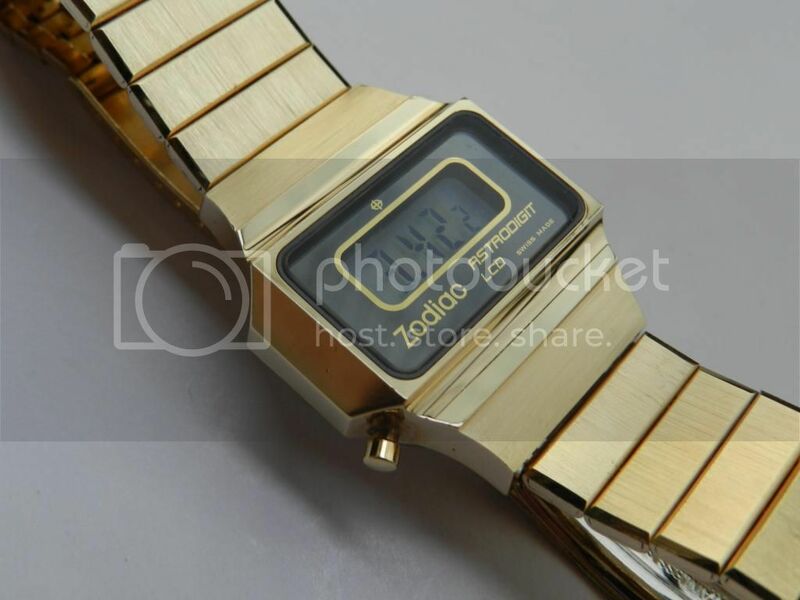 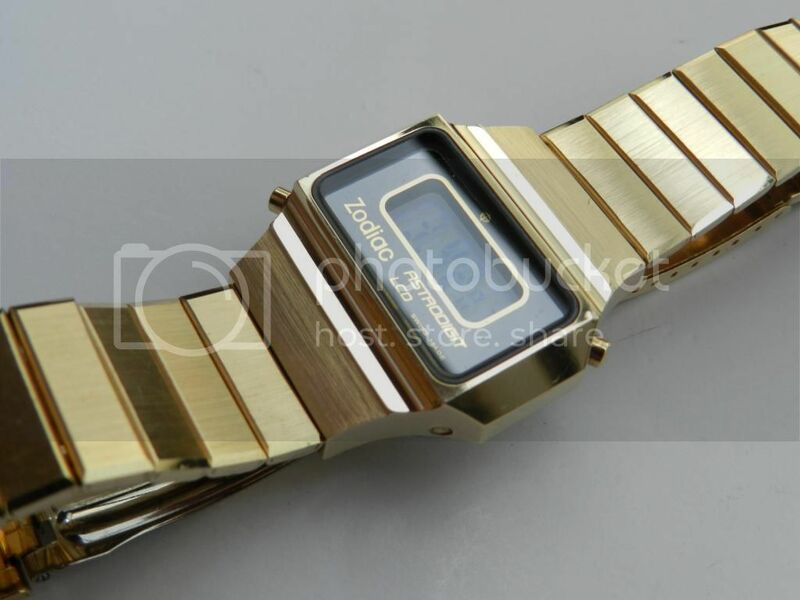 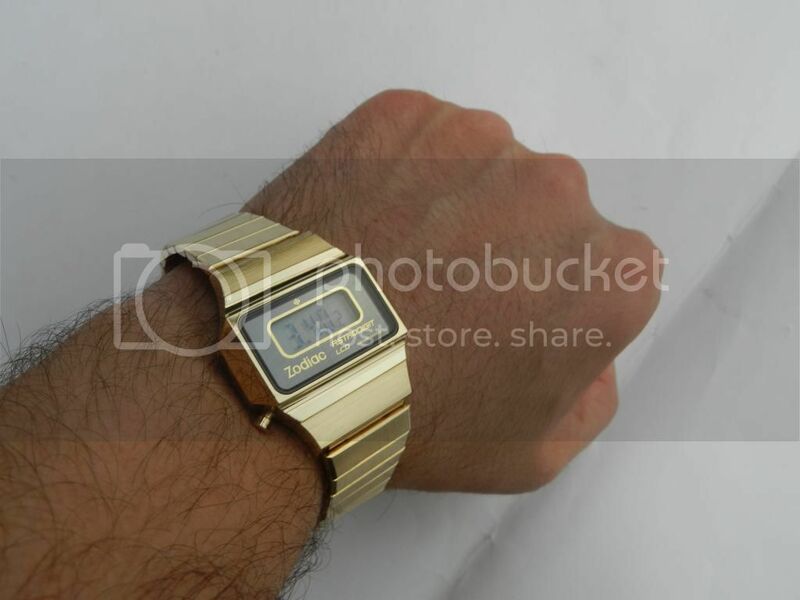 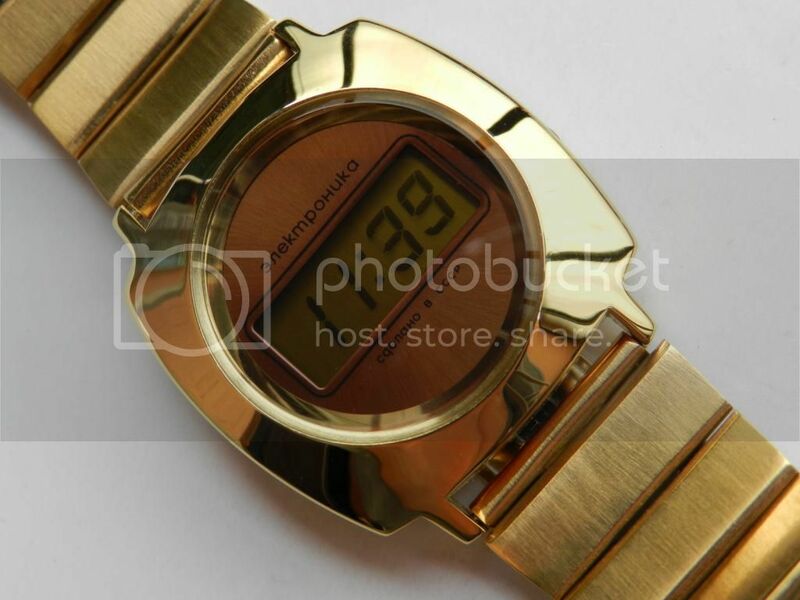 It is fortunate that the Soviet watches from that era have very fat gold layer so that they can be nicely polished if scratches are not deep. 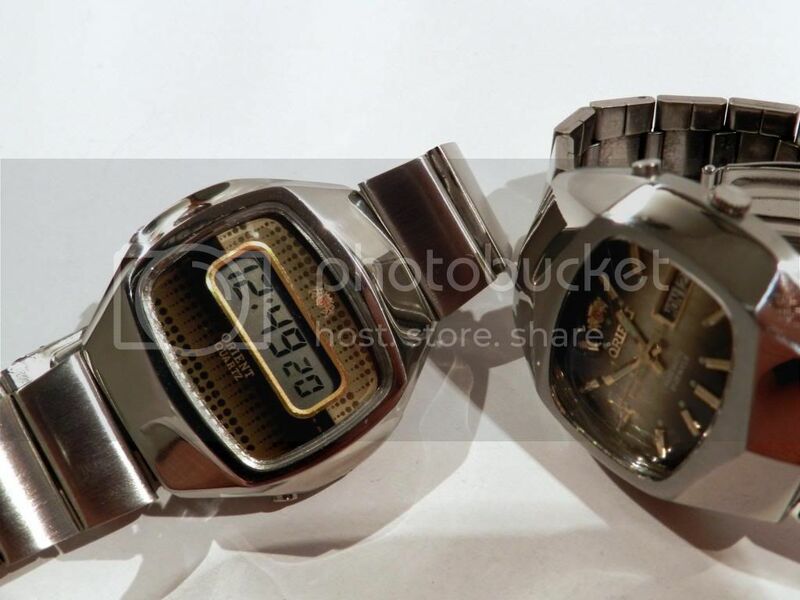 All stainles steel with mineral glass, a later model Nepro from 1976y with field effect display, same case that was used for the first model with DSM display, working perfect and it seems like it was yesterday bought new. 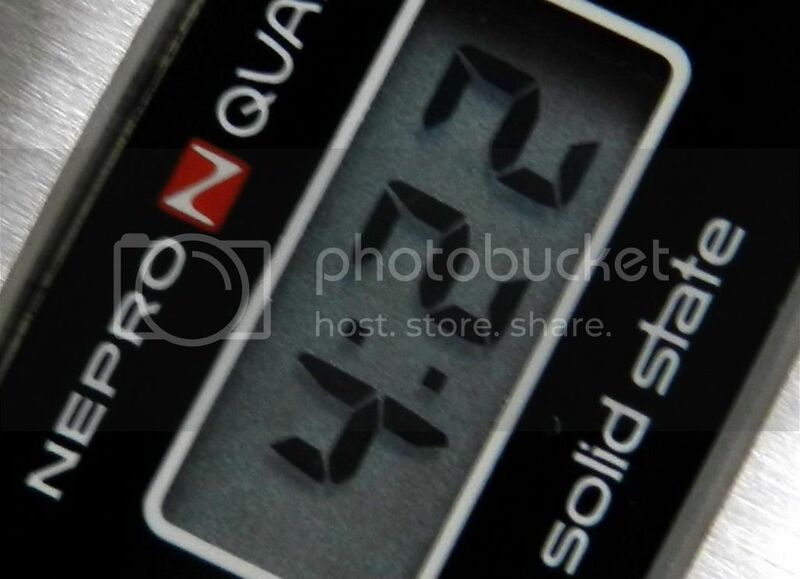 There are only hours and minutes, two button used for setings, up button is for hours, lower to reset seconds to zero, when you press both at the same time setting the minute. 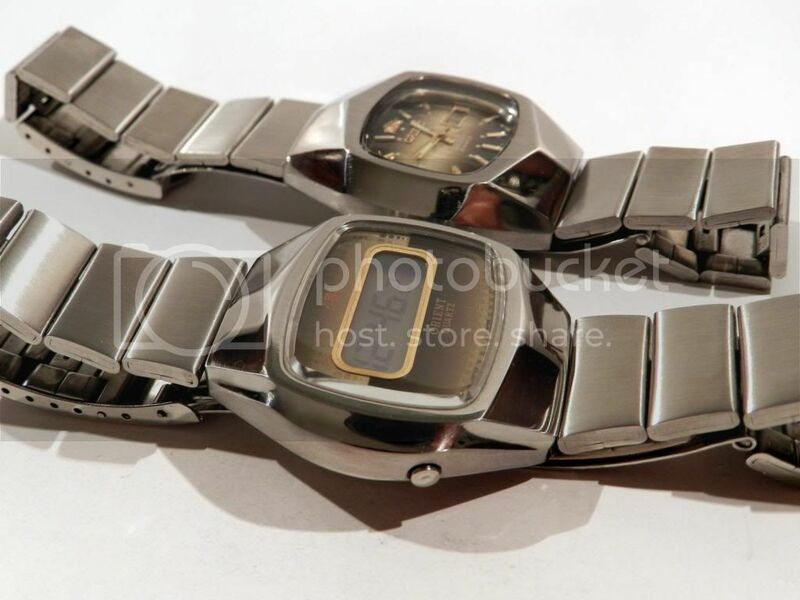 Watch use two batteries and work very precise.